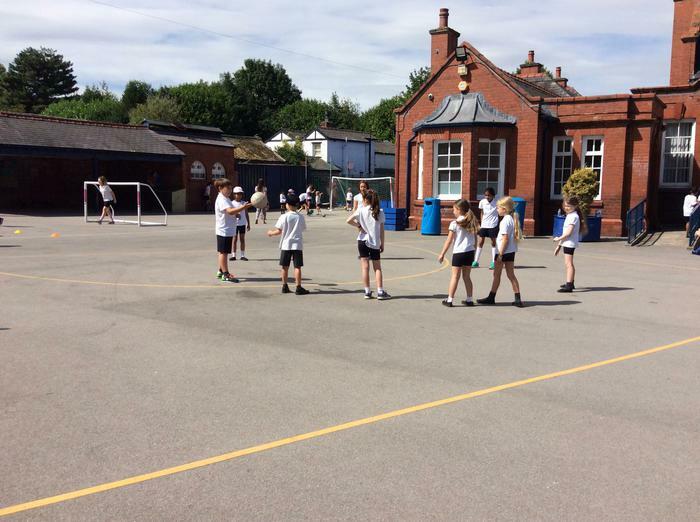 A selection of photographs from our sports day can be found via the School Gallery. 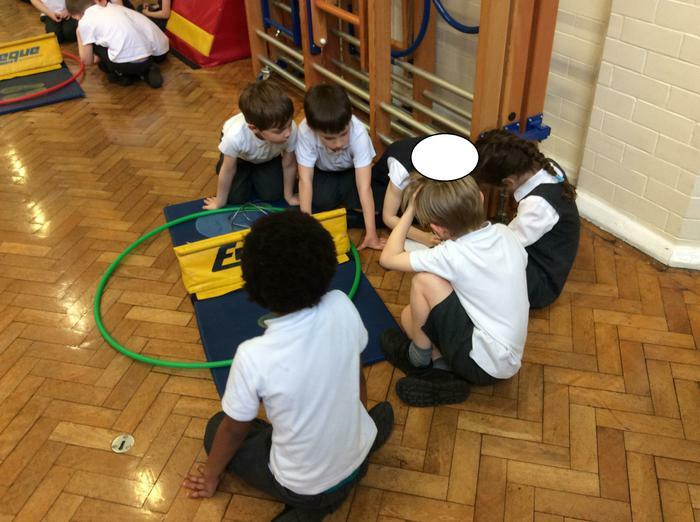 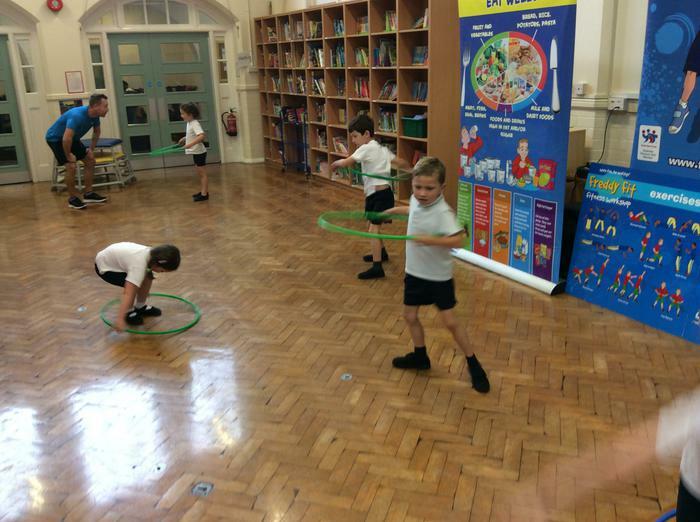 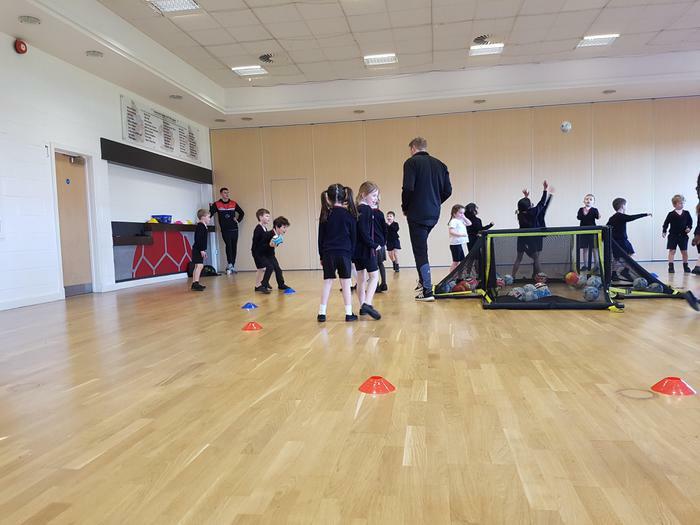 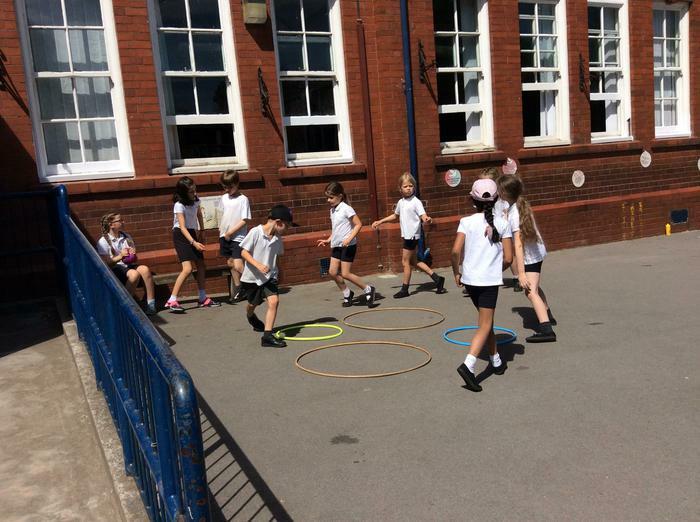 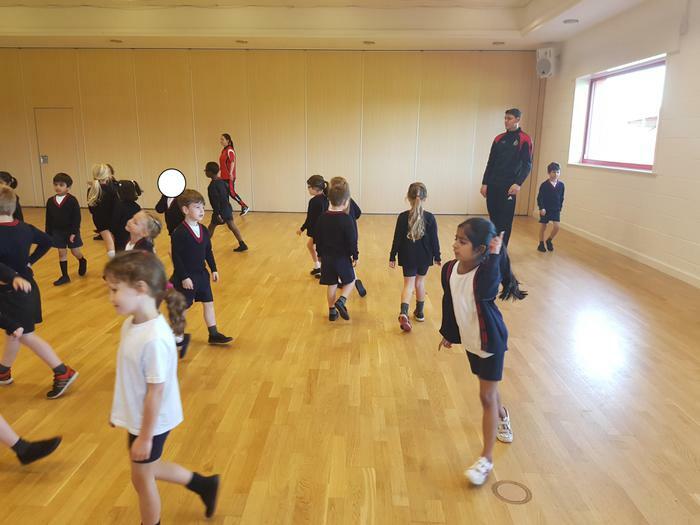 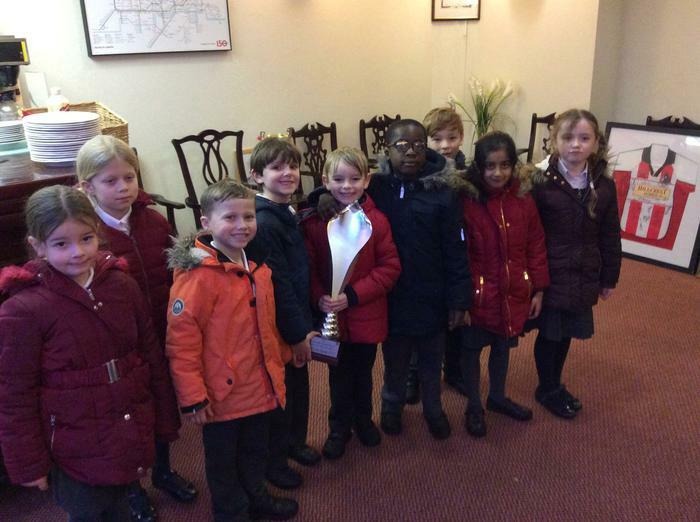 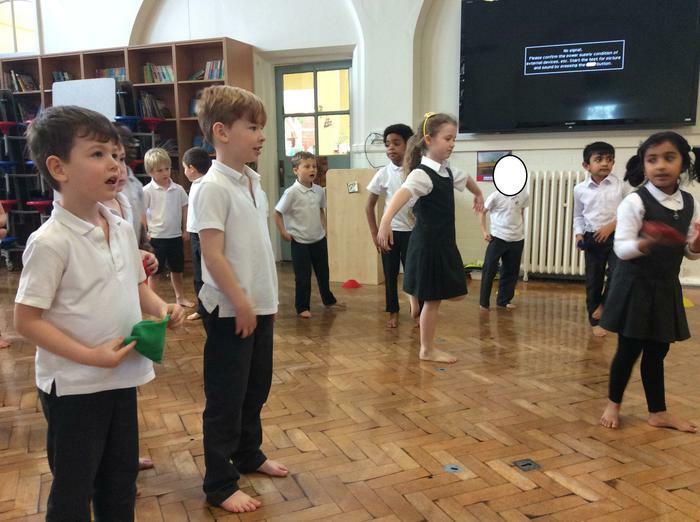 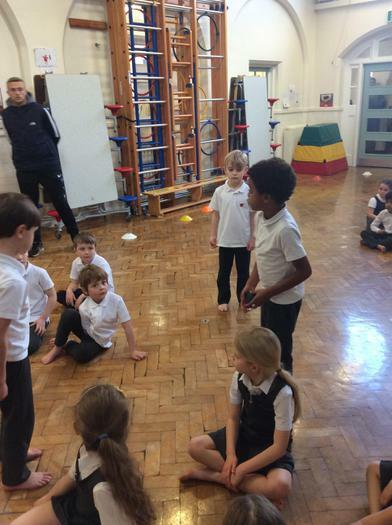 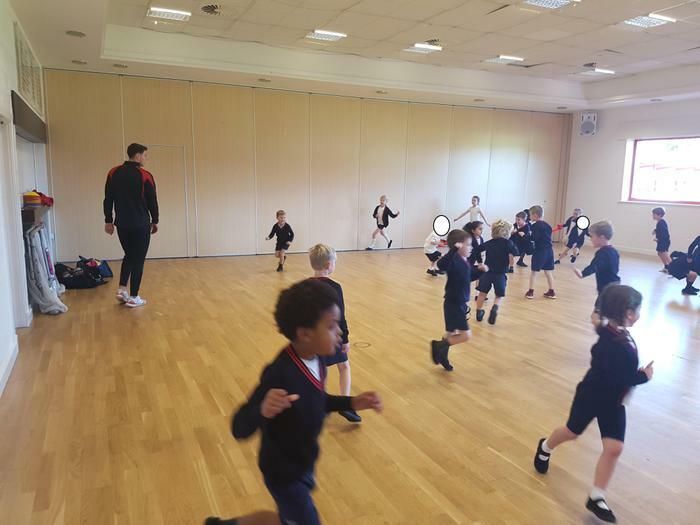 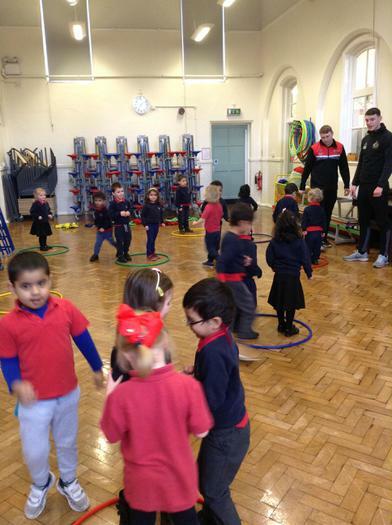 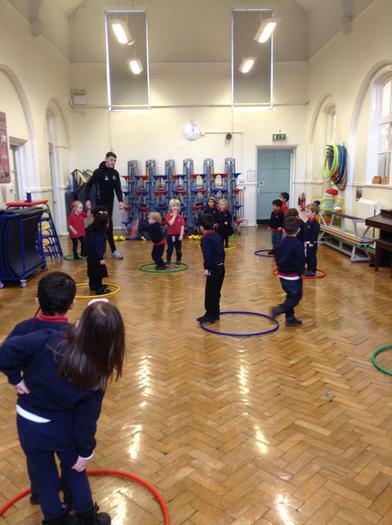 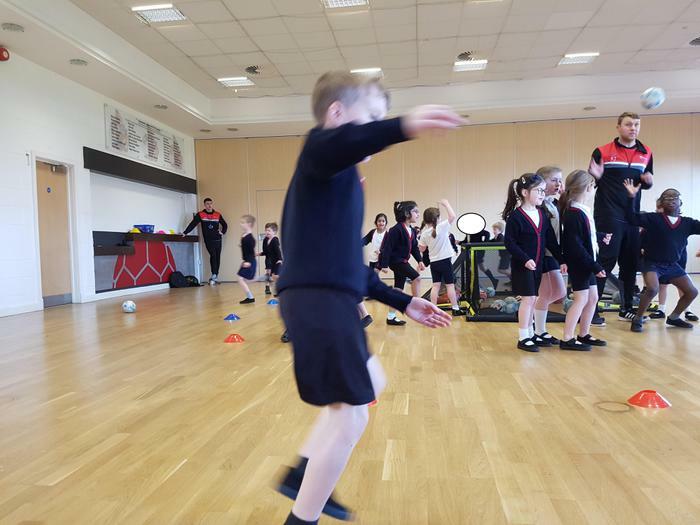 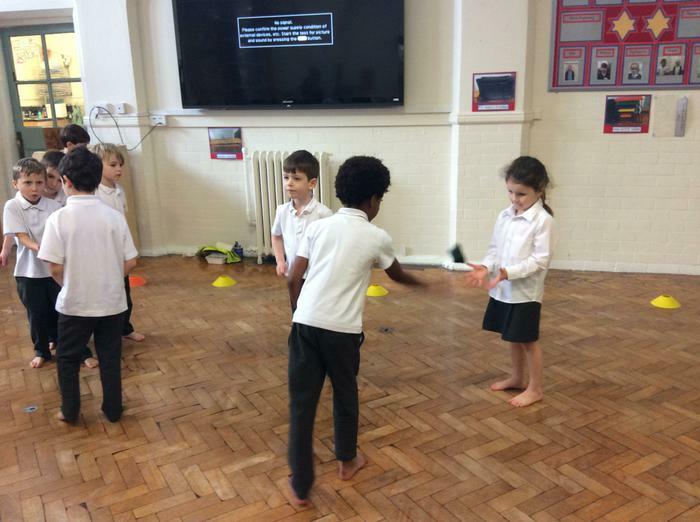 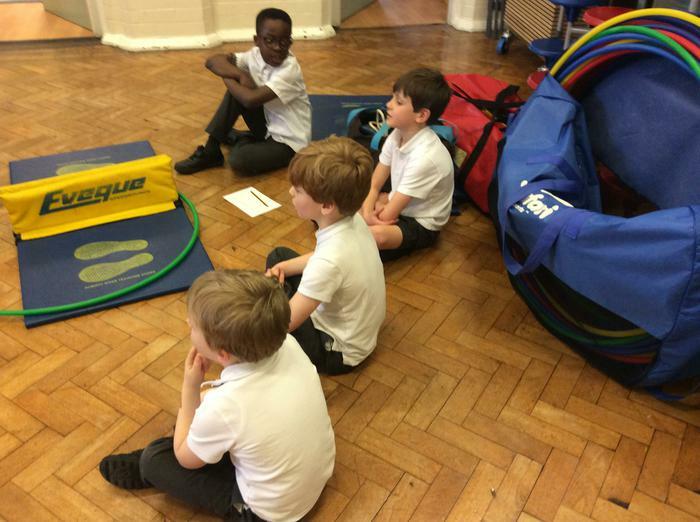 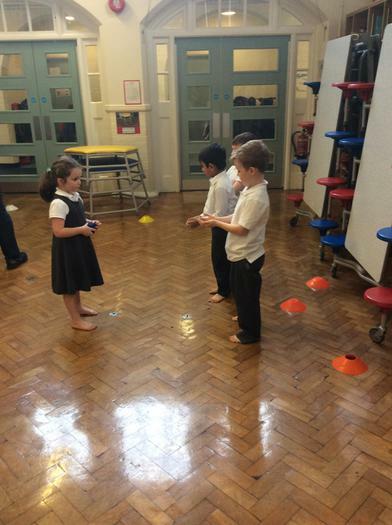 Year 2 enjoyed visiting the Junior School to take part in a Multiskills Festival set up by the Year 5 children. 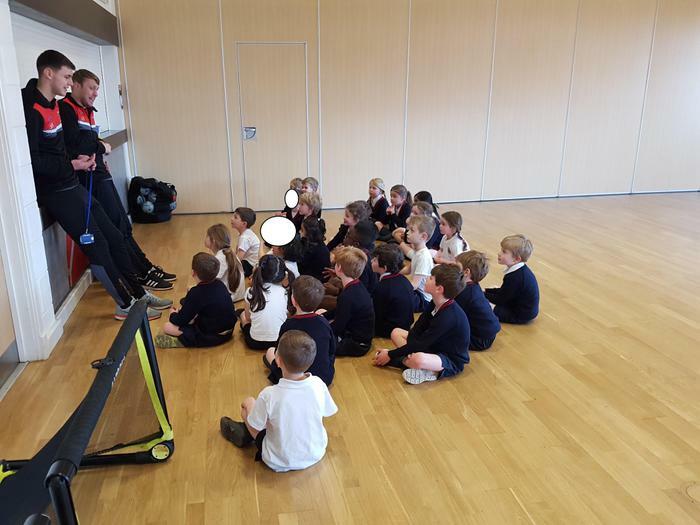 Many thanks to the Junior School for hosting and organising the event. 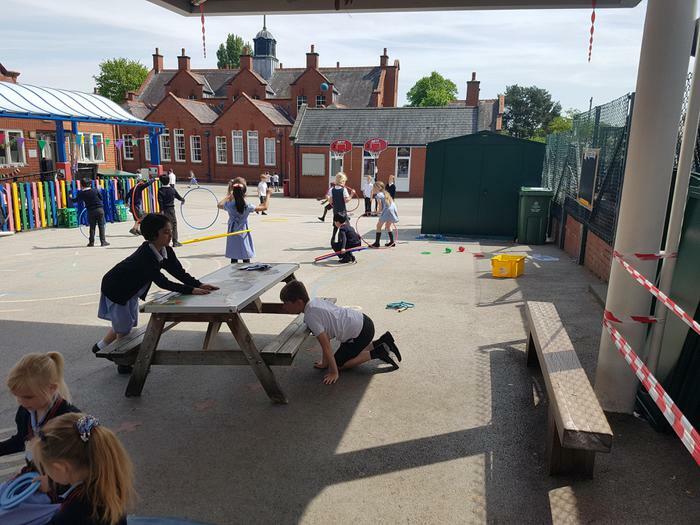 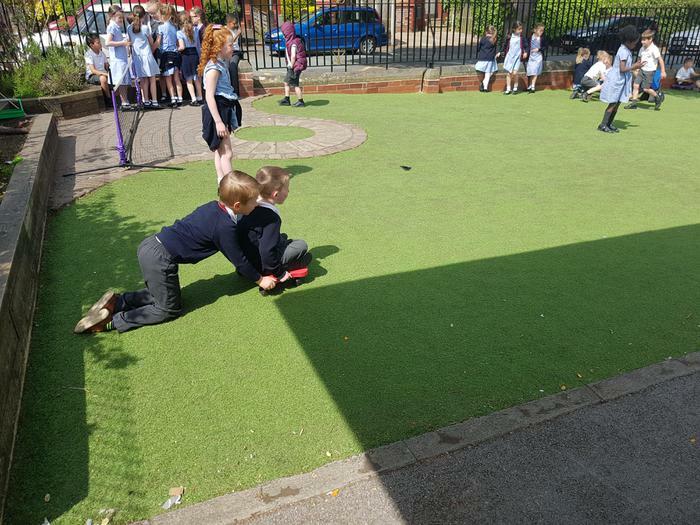 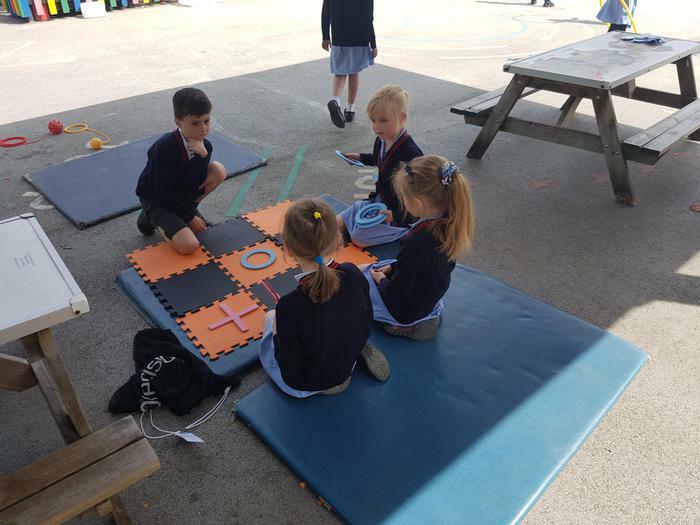 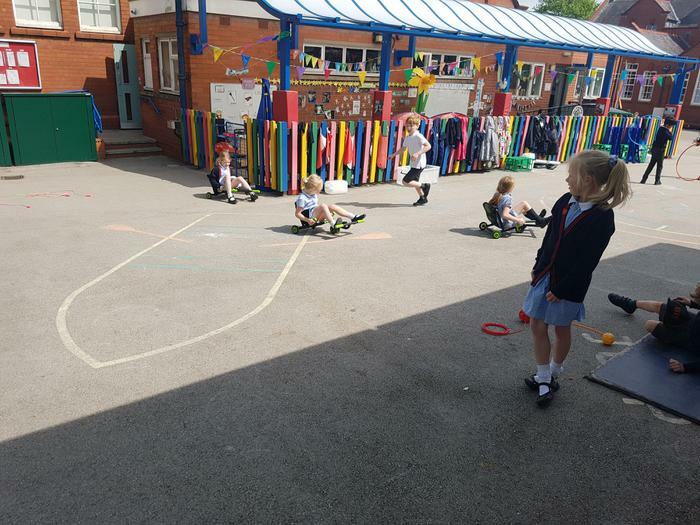 The children have been enjoying the lovely weather and using all the nice equipment bought with our Sports Premium Grant. 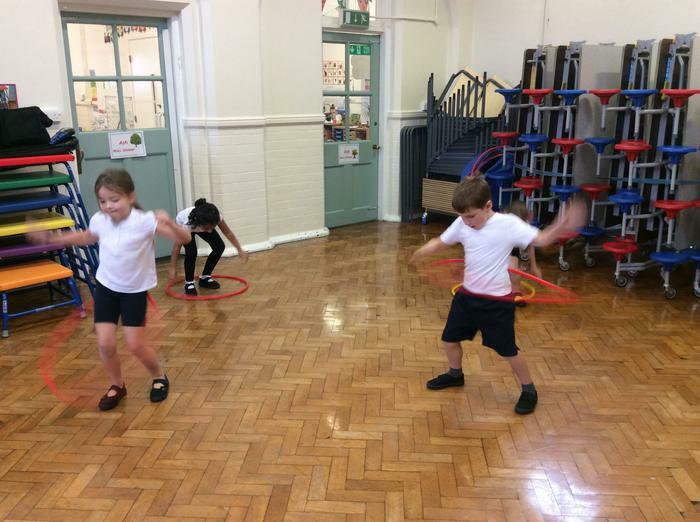 The children have lots of fun exercising using all the items bought this year. 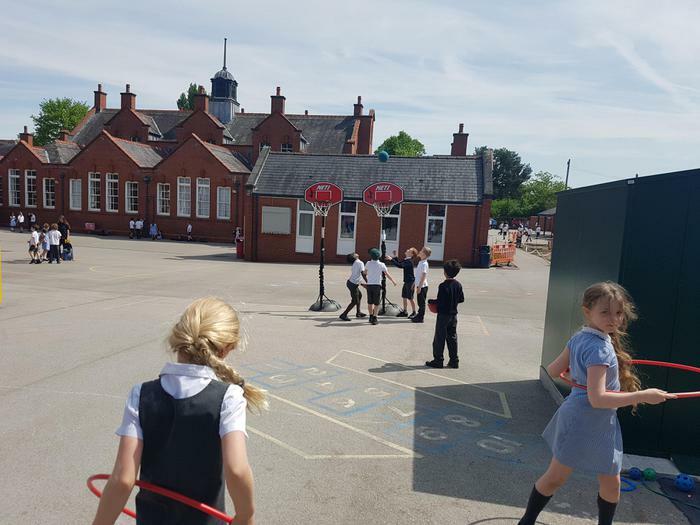 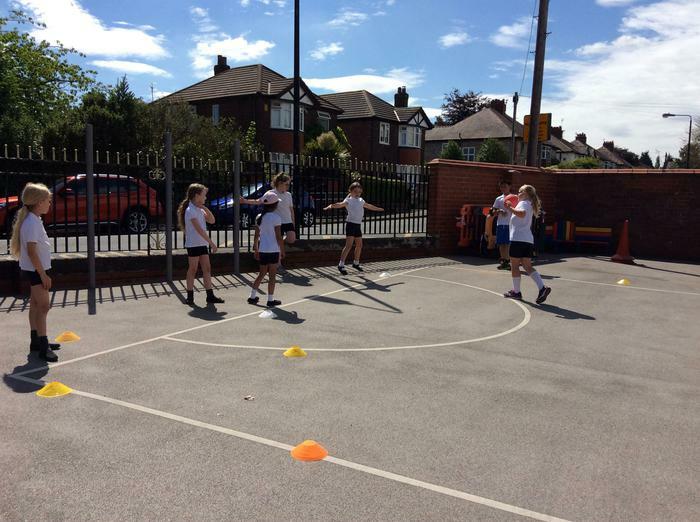 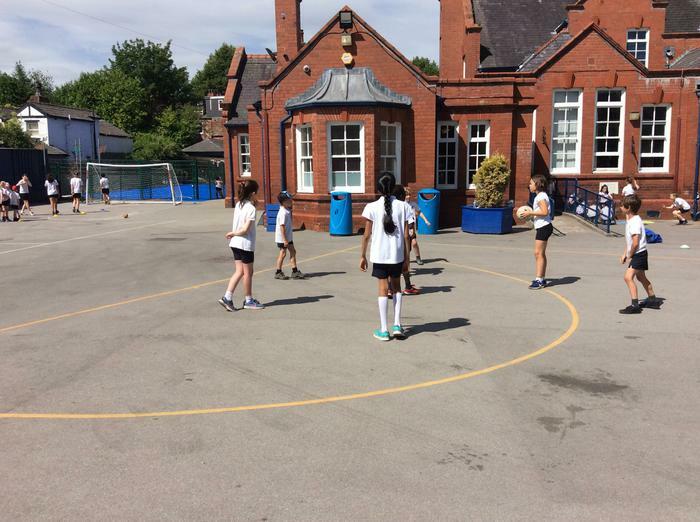 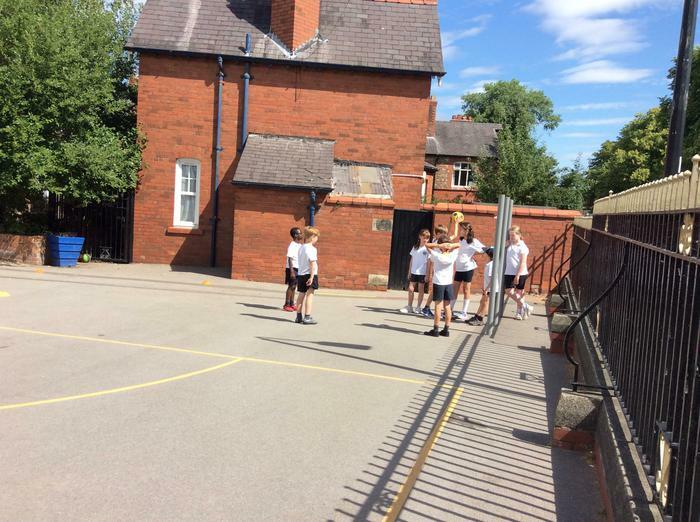 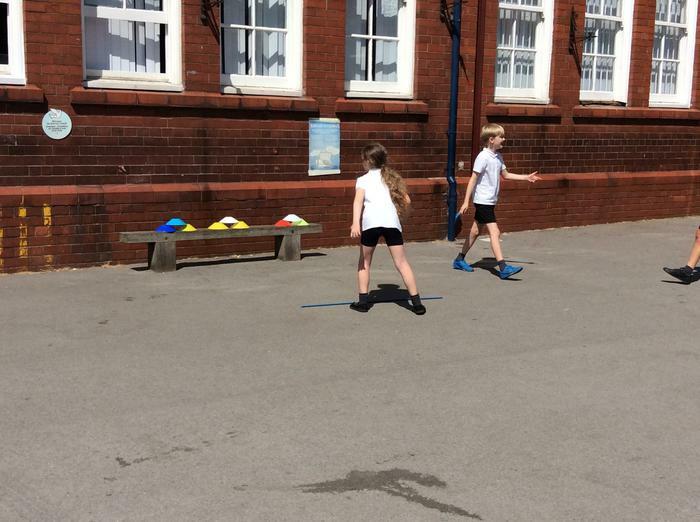 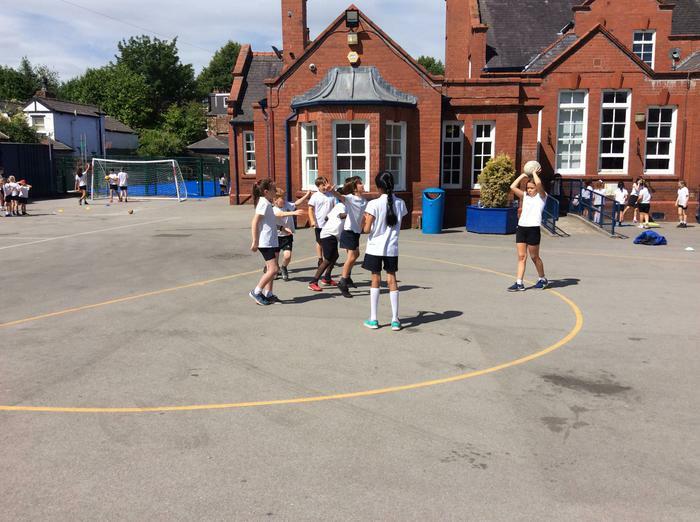 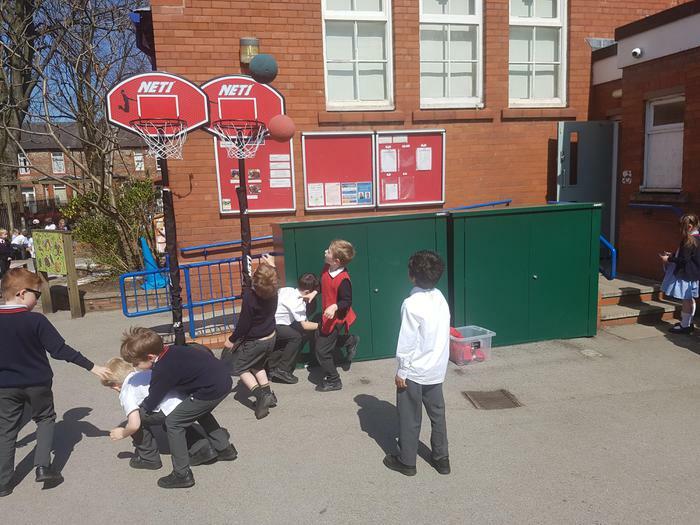 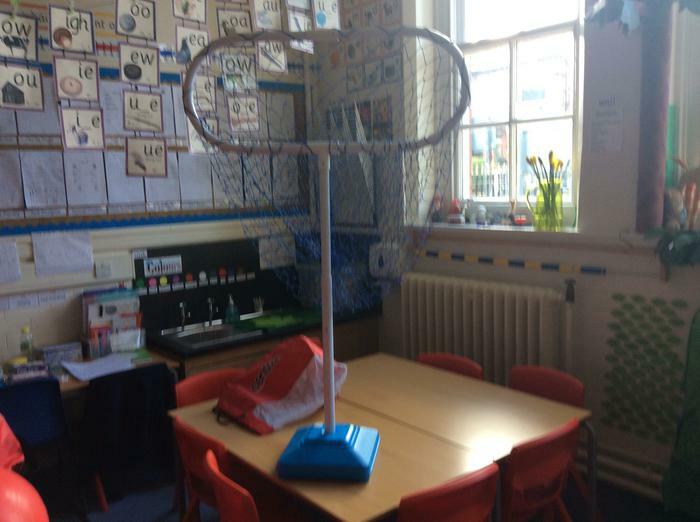 The children have really enjoyed playing with our new netball posts, during the recent sunny weather. 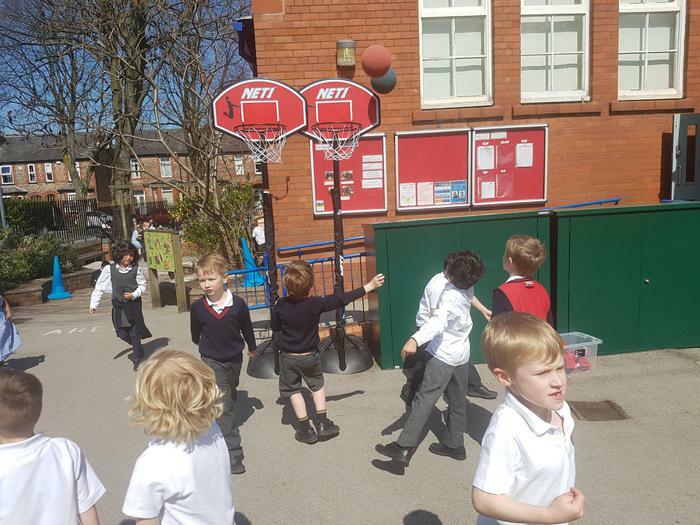 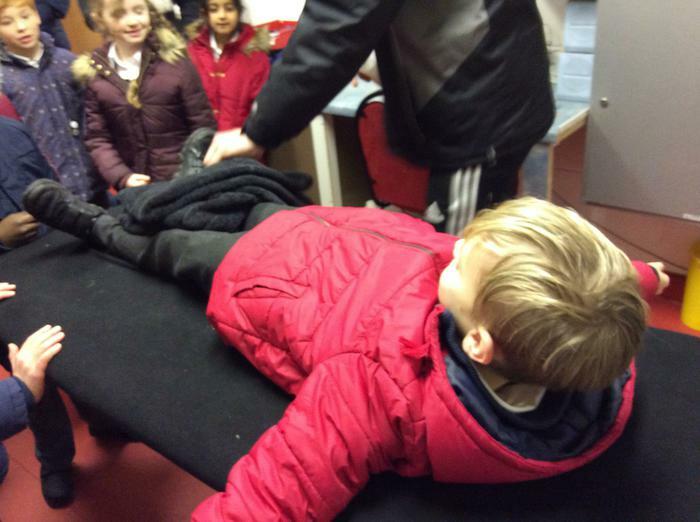 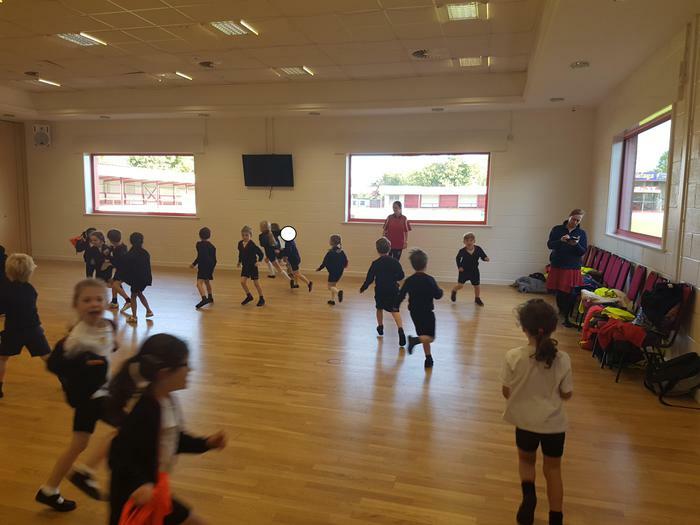 This week Mr. Hines transferred all the outdoor KS1 P.E. 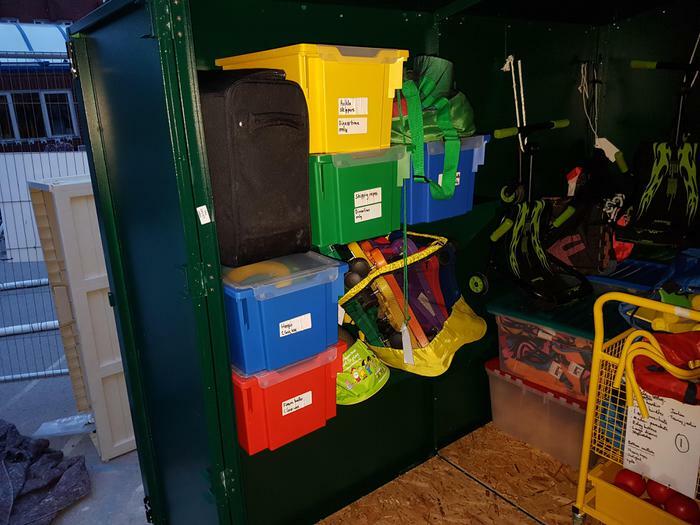 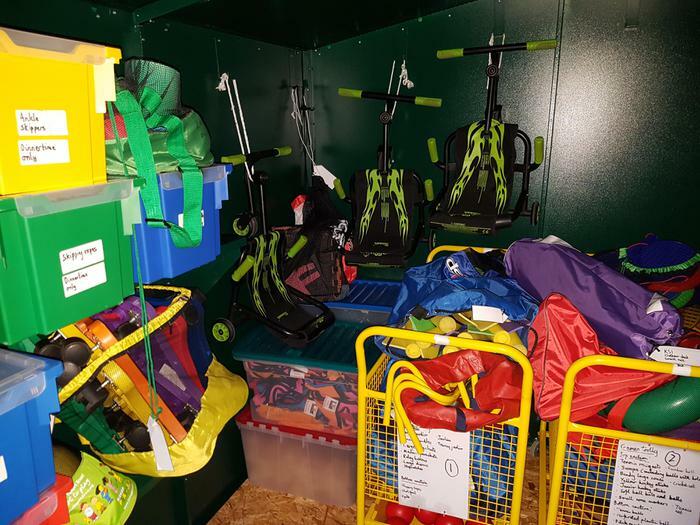 resources into our brand new storage area. 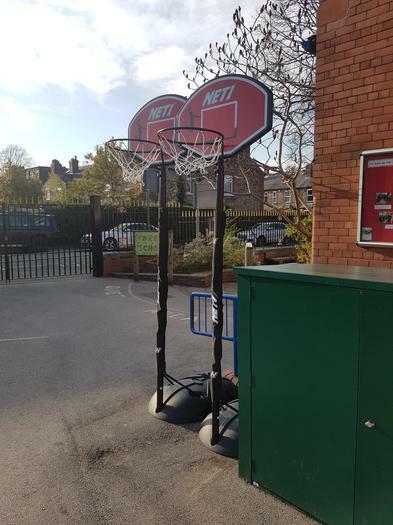 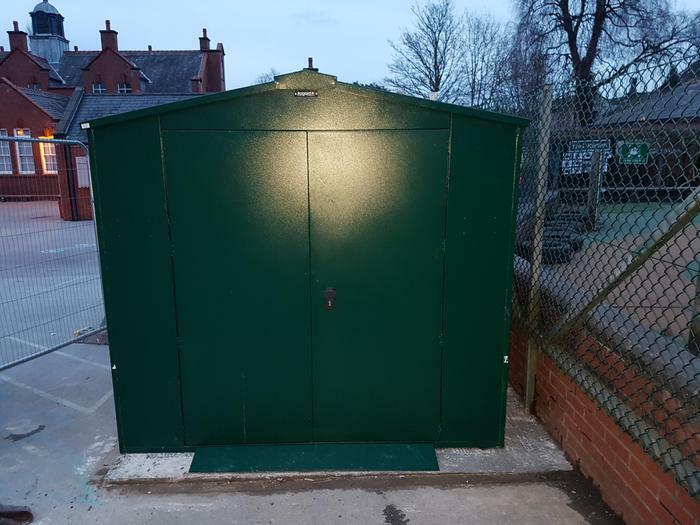 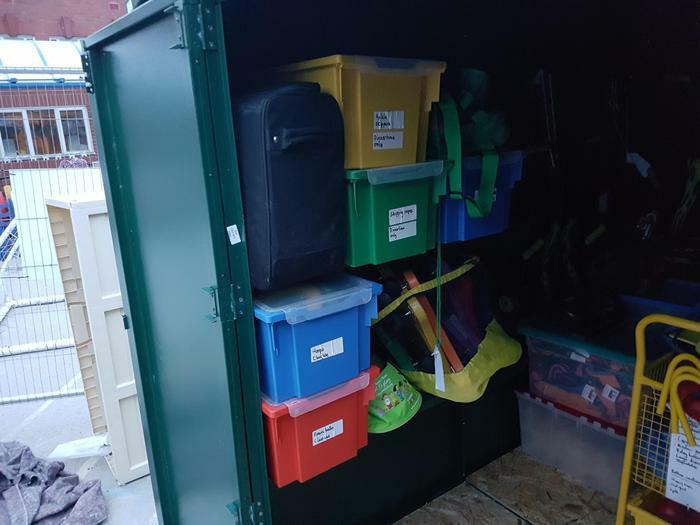 We have purchased this and other outdoor containers with our Sports Premium Grant. 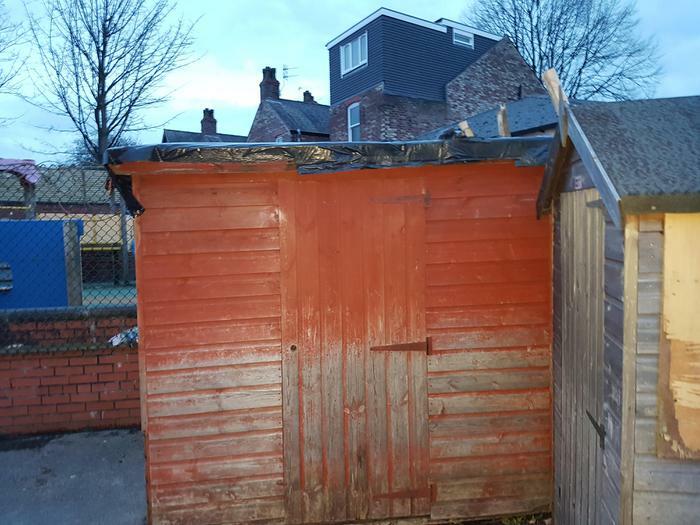 Unfortunately the old shed is beyond repair, even though its bin bag enhanced roof helped it to last one more year. 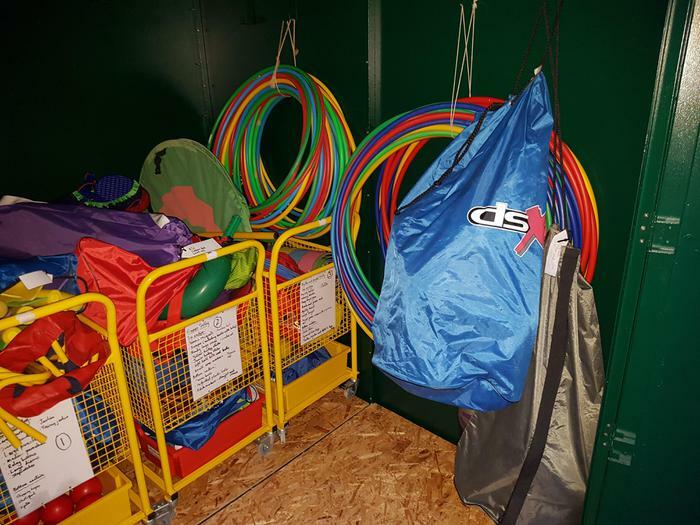 Now all our lovely resources, purchased over the last 5 years, will stay dry and in a good state of repair. 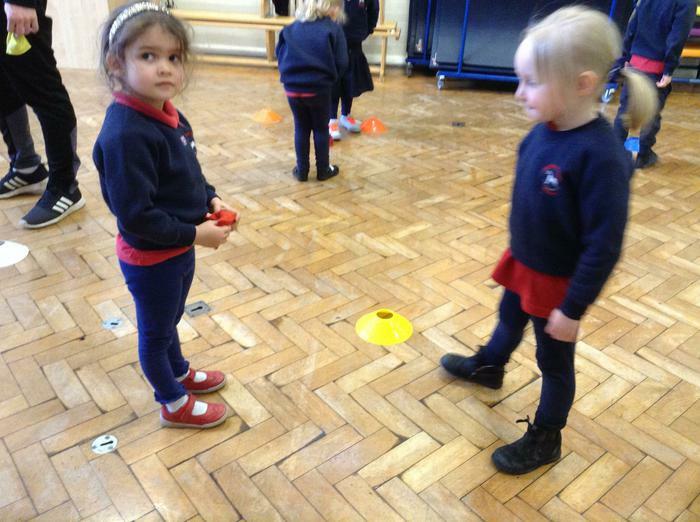 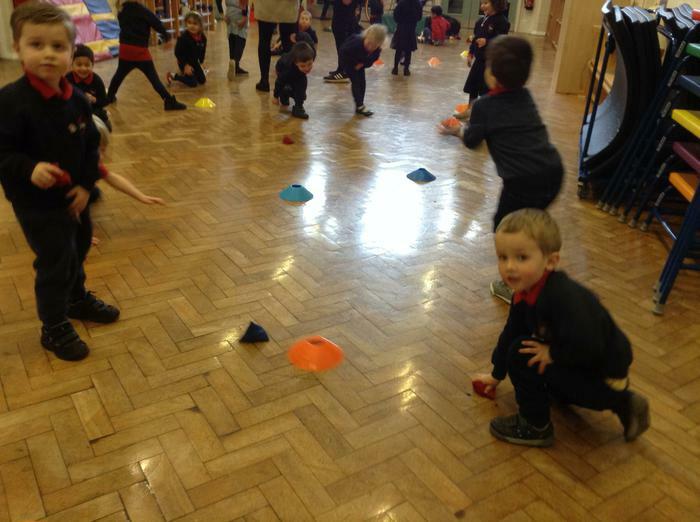 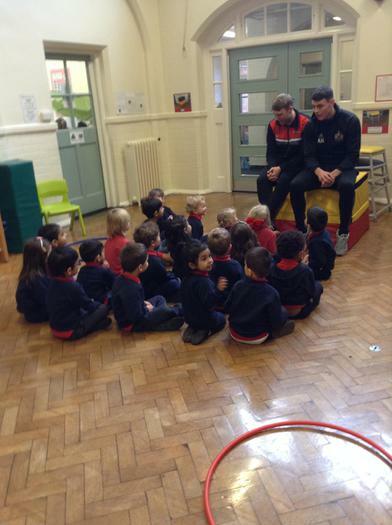 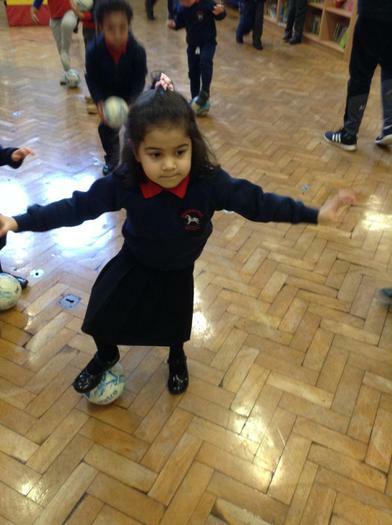 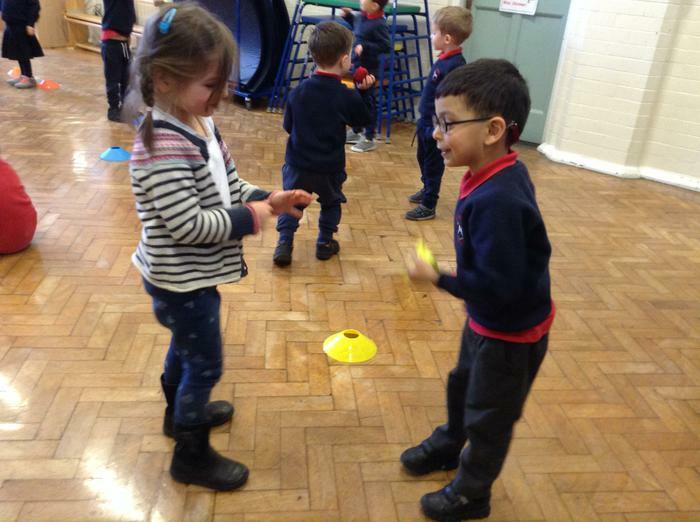 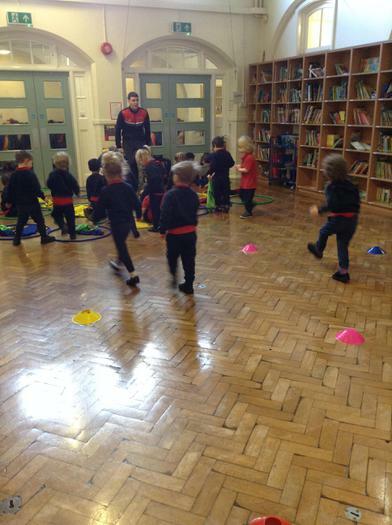 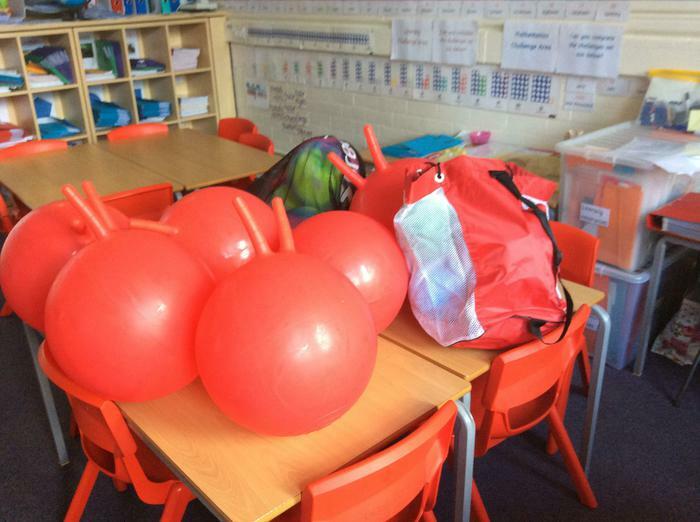 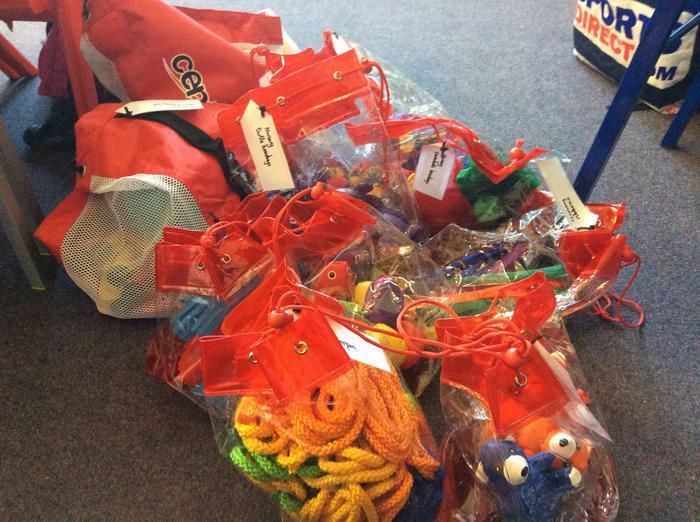 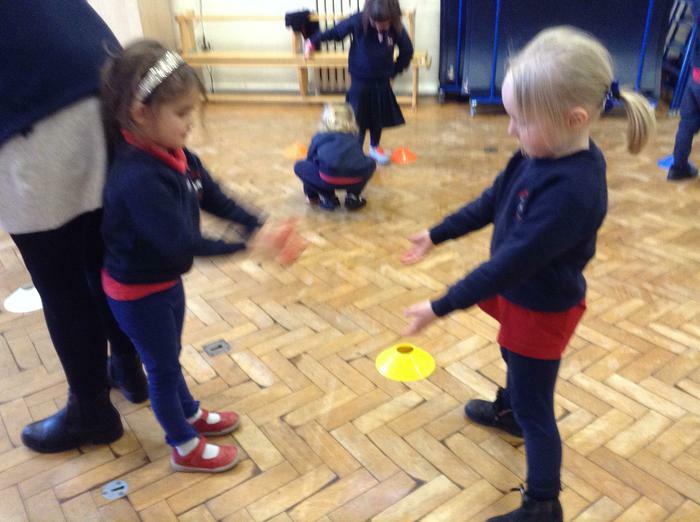 We have used some of our Sports Premium Grant to improve our Nursery P.E. 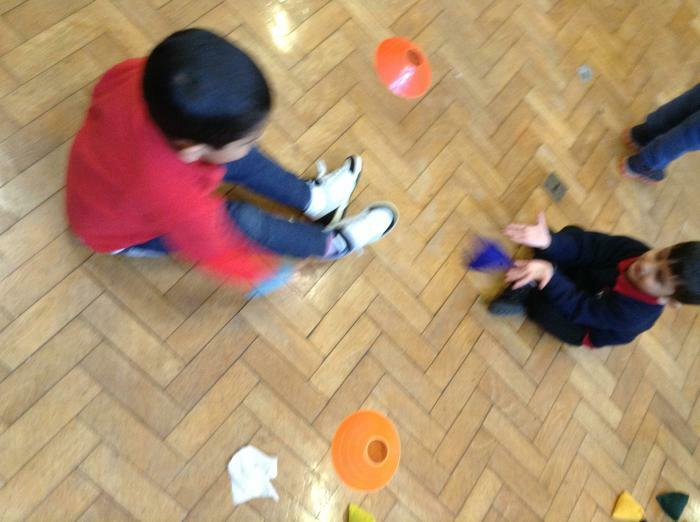 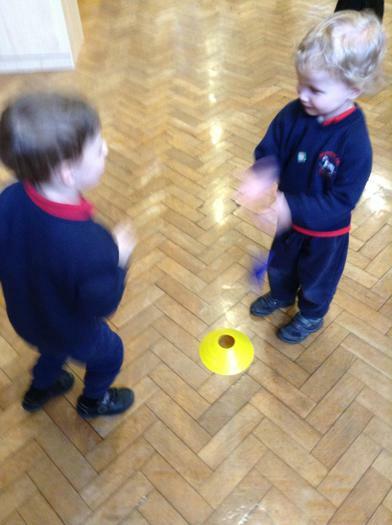 resources, to help develop the children's fine and gross motor skills. 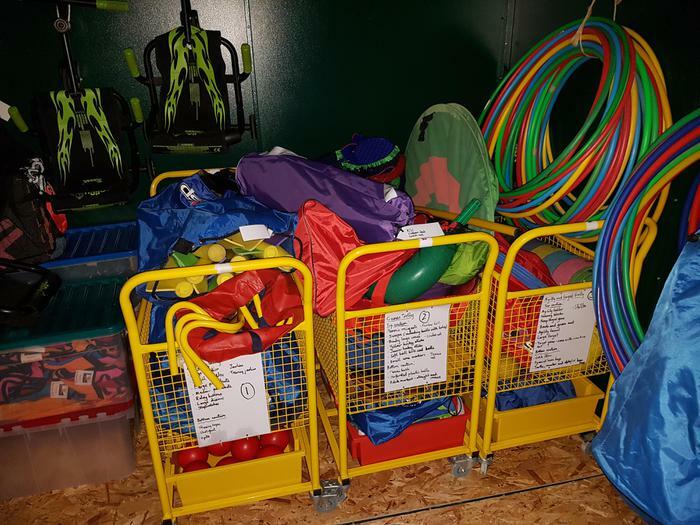 These resources have been carefully selected to ensure progression between recourses kept in the Nursery and Reception classes. 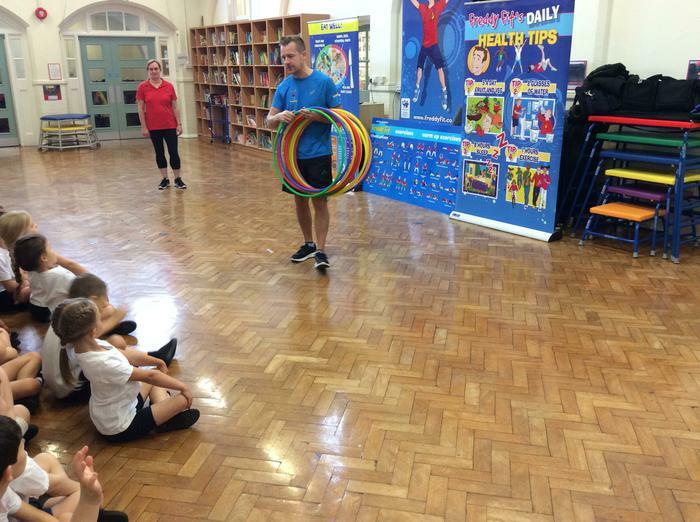 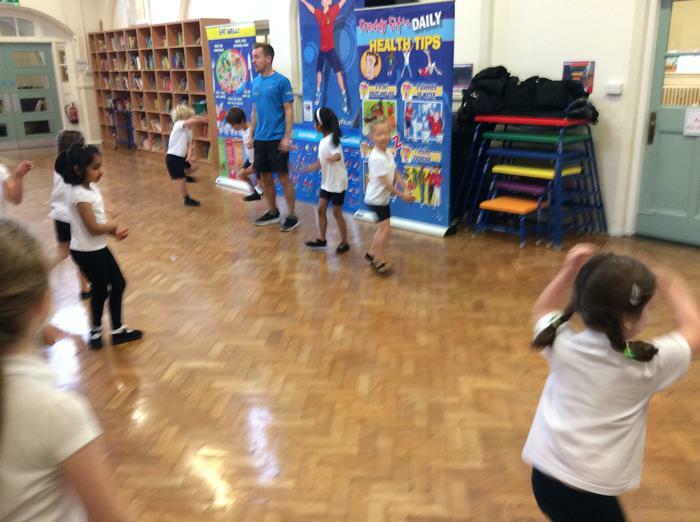 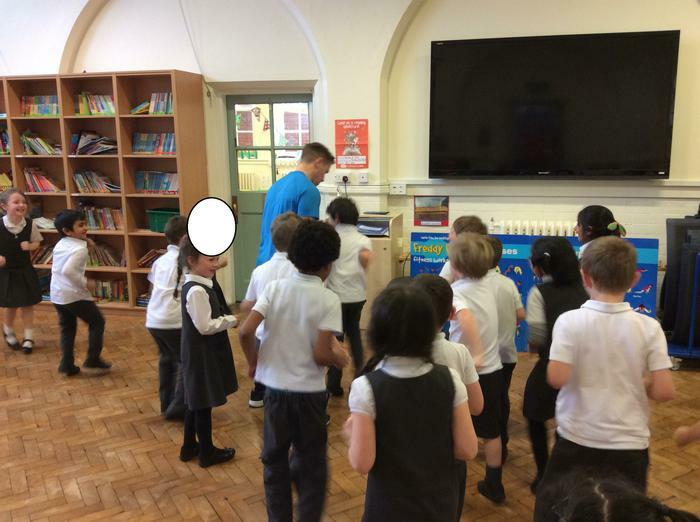 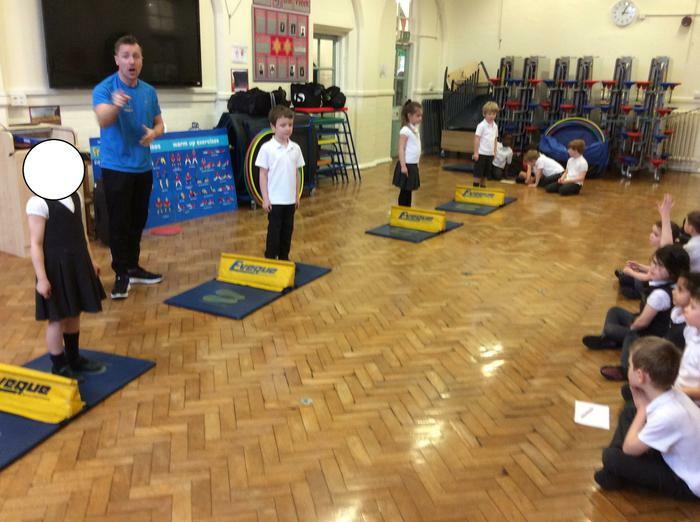 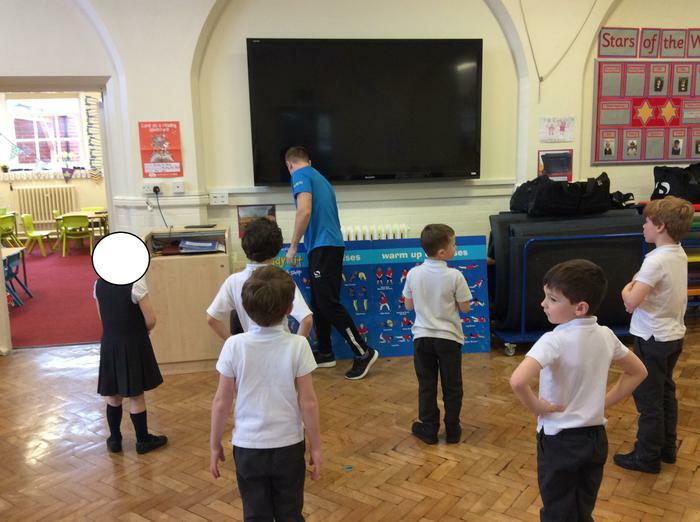 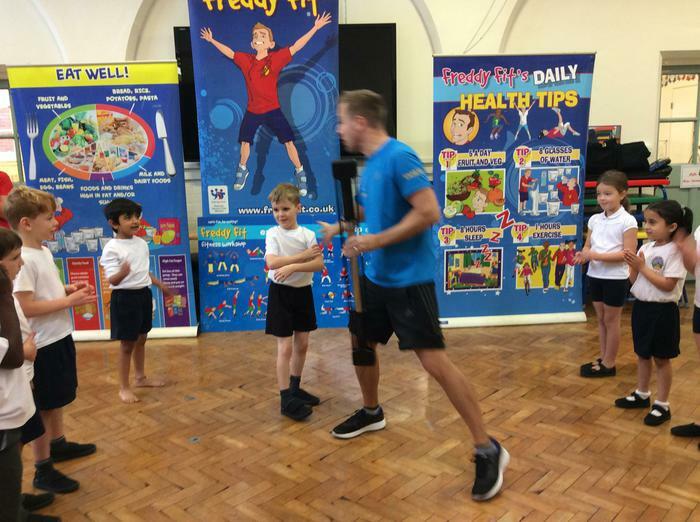 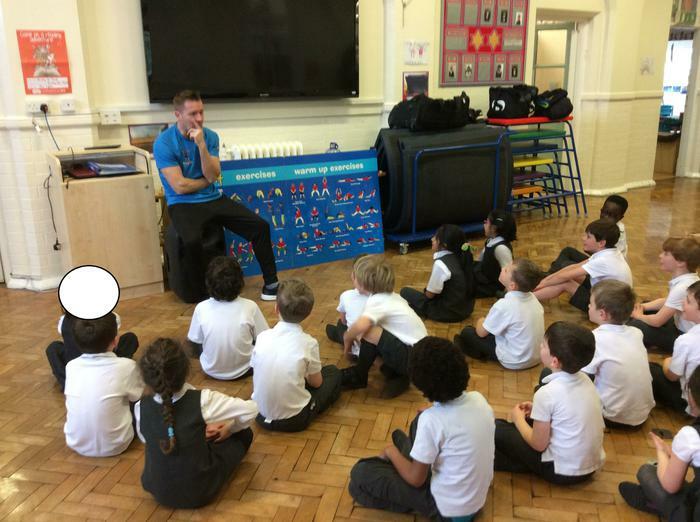 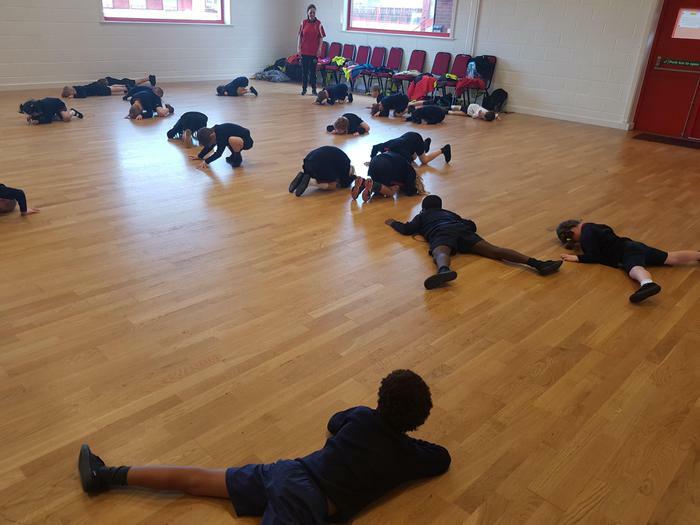 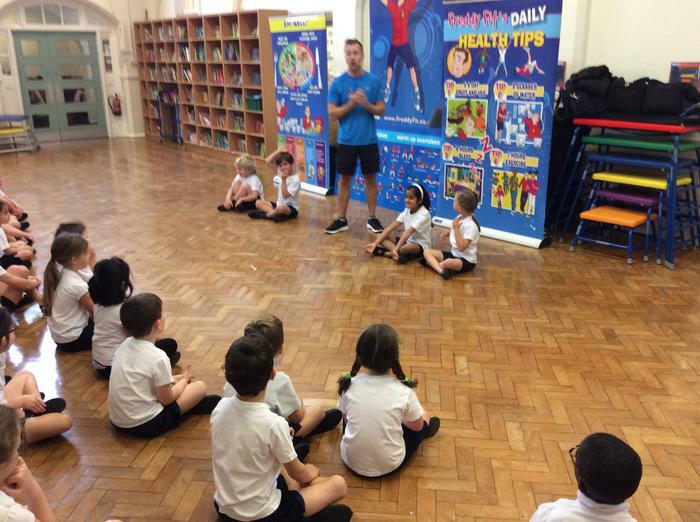 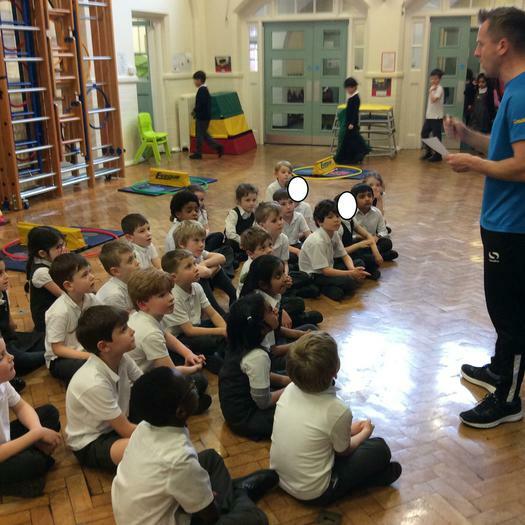 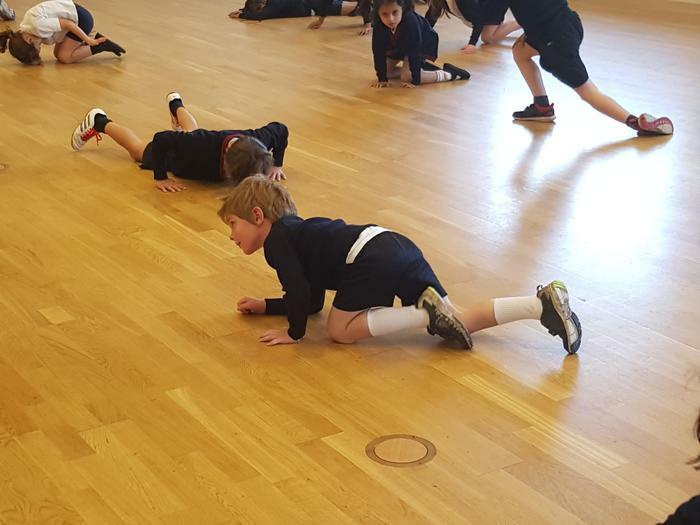 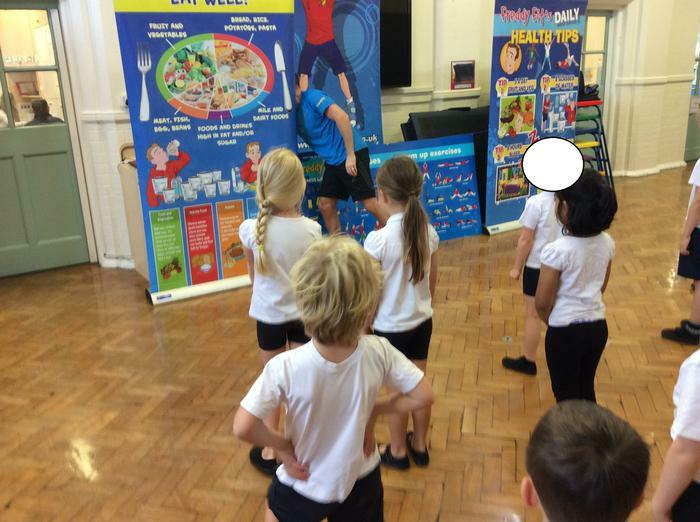 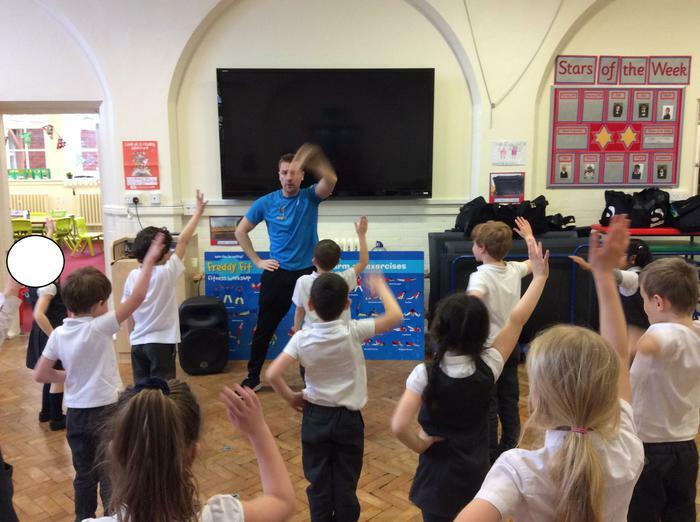 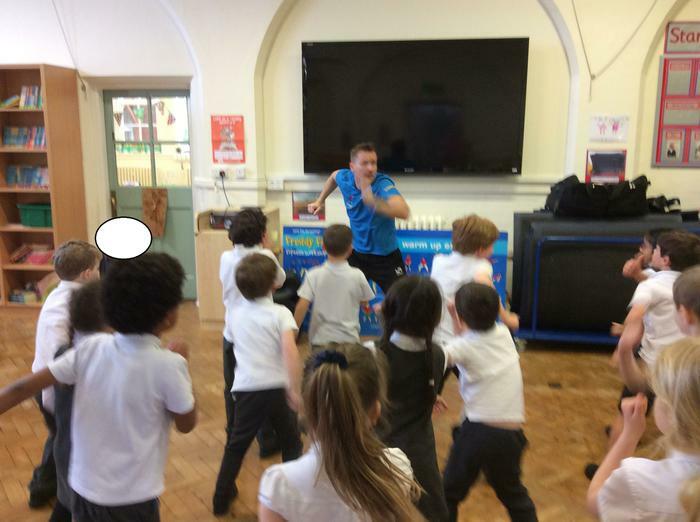 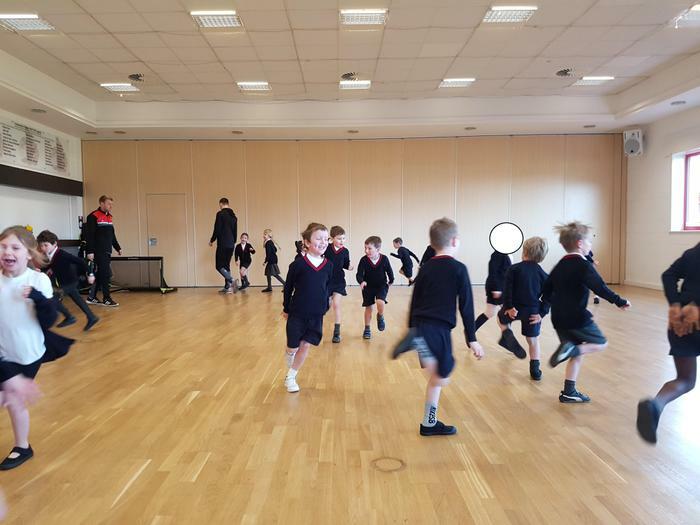 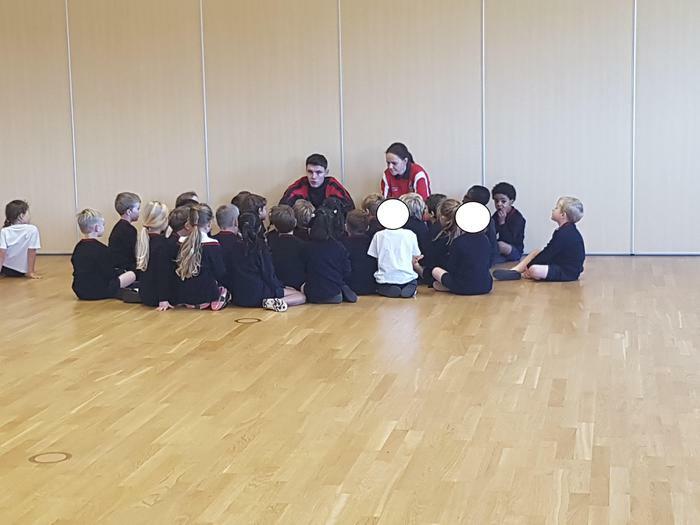 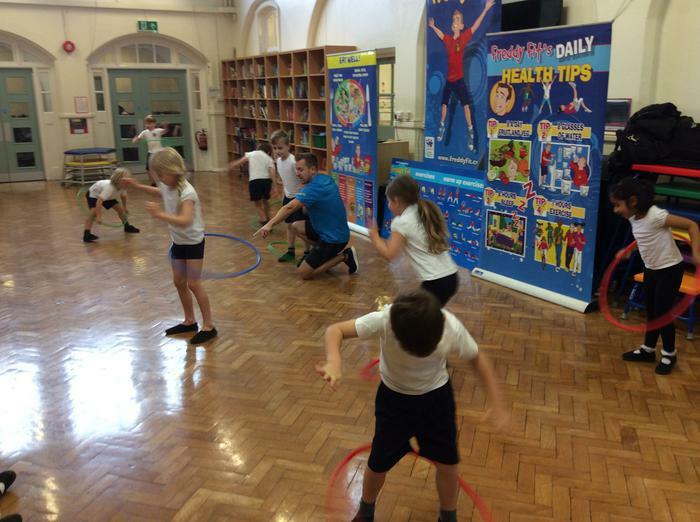 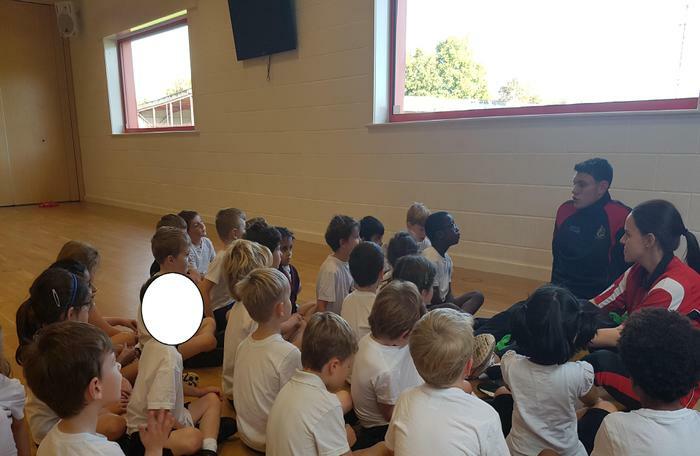 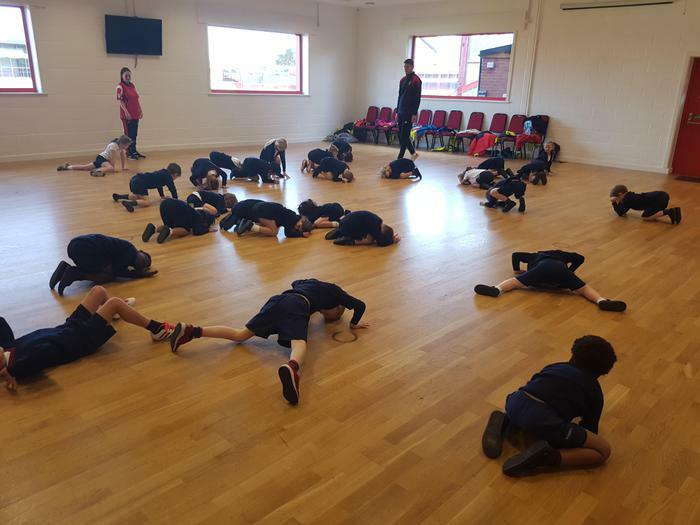 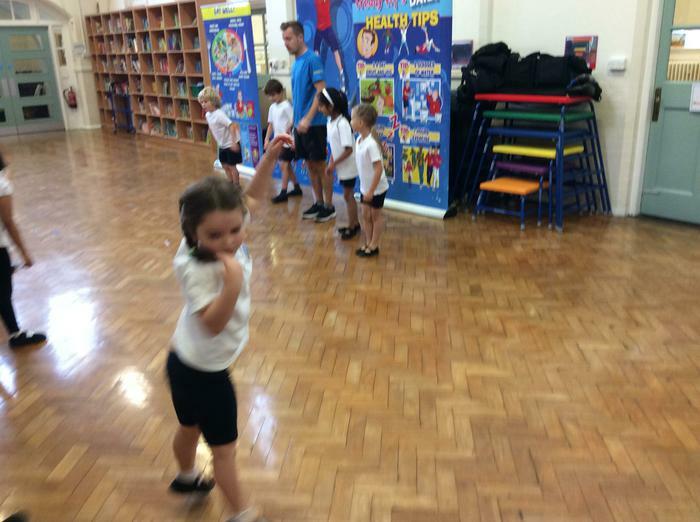 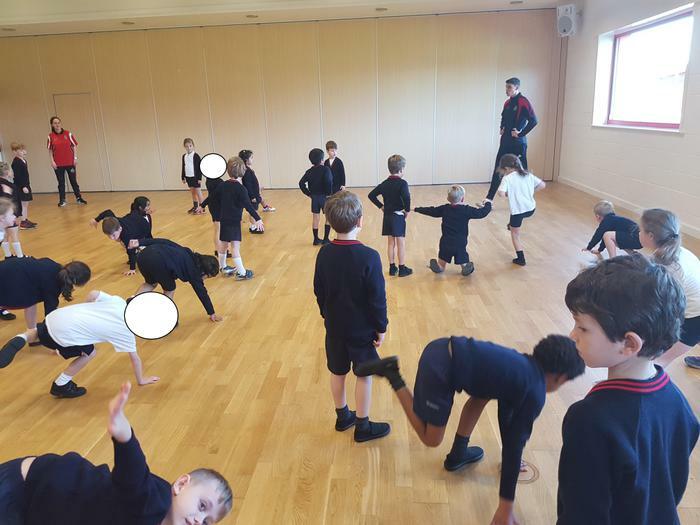 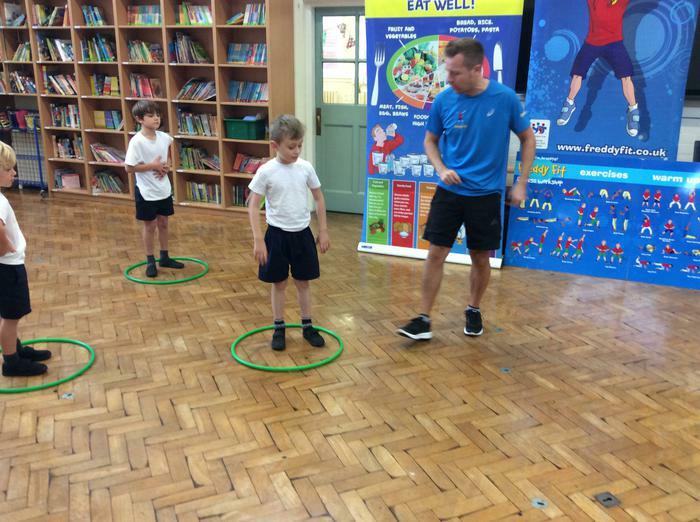 Every class enjoyed a session from Freddy Fit this week. 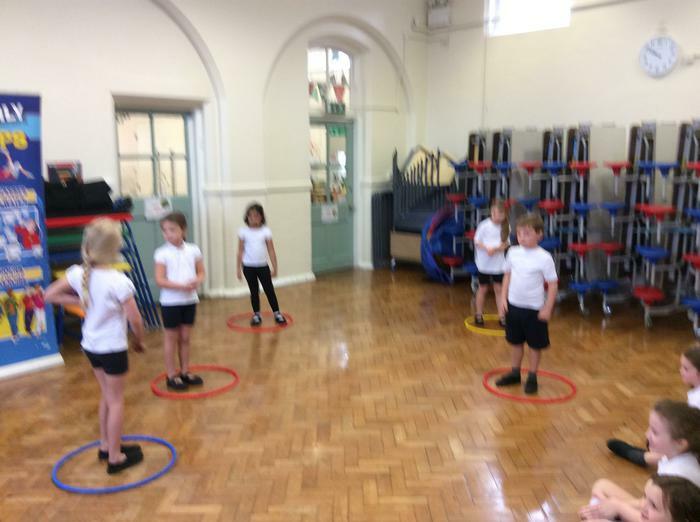 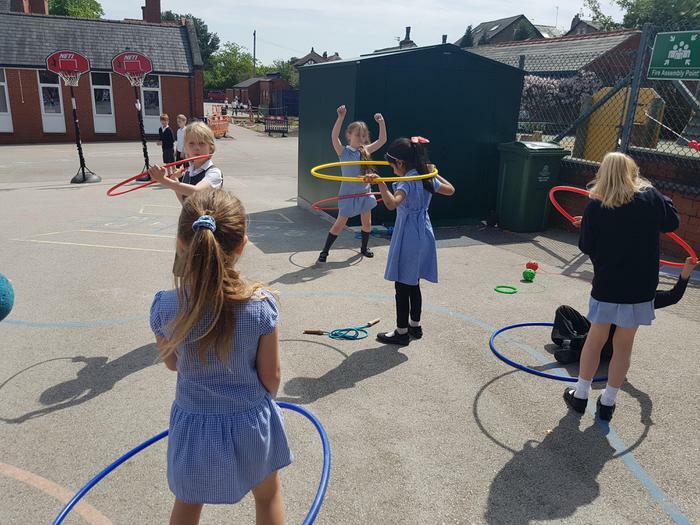 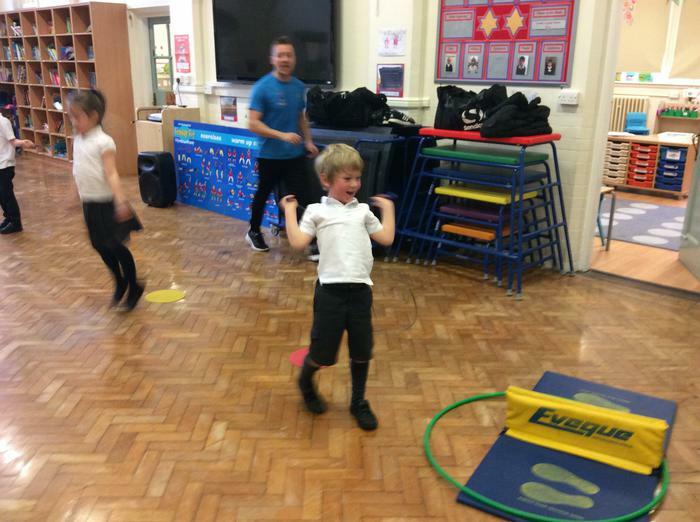 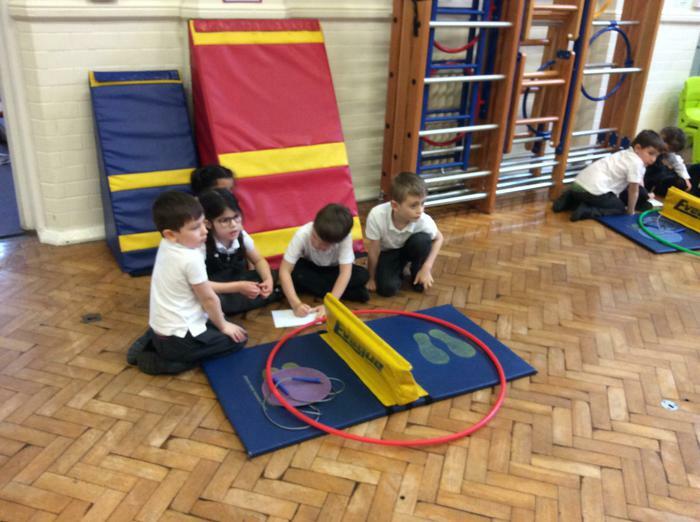 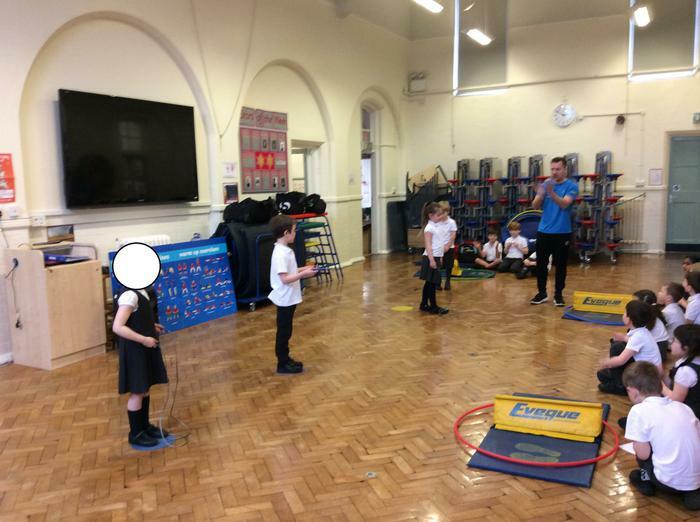 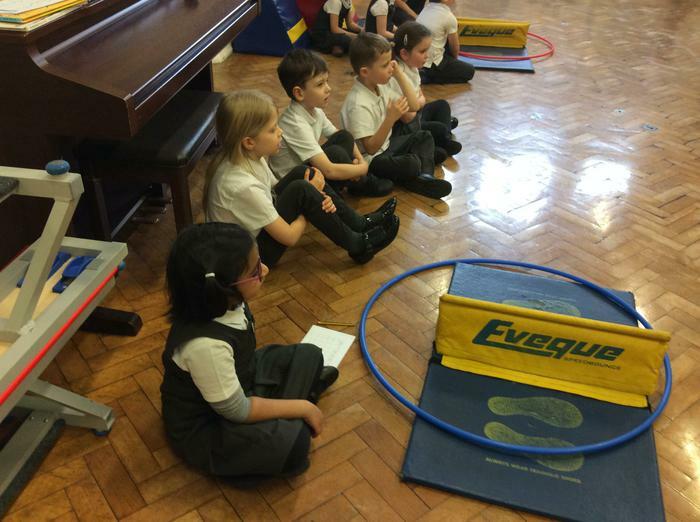 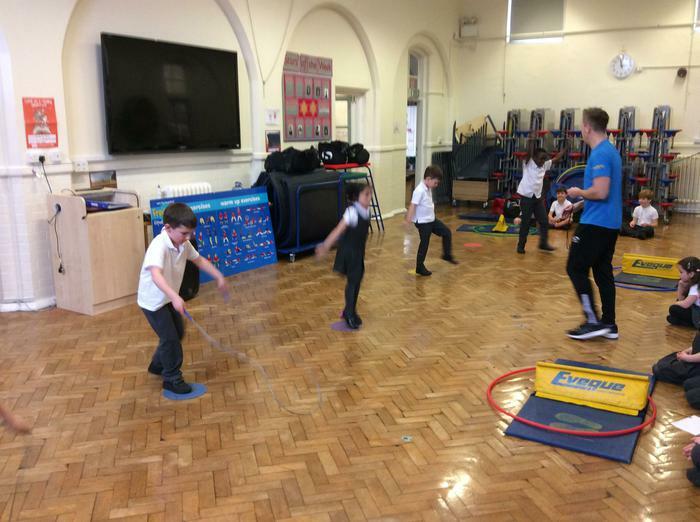 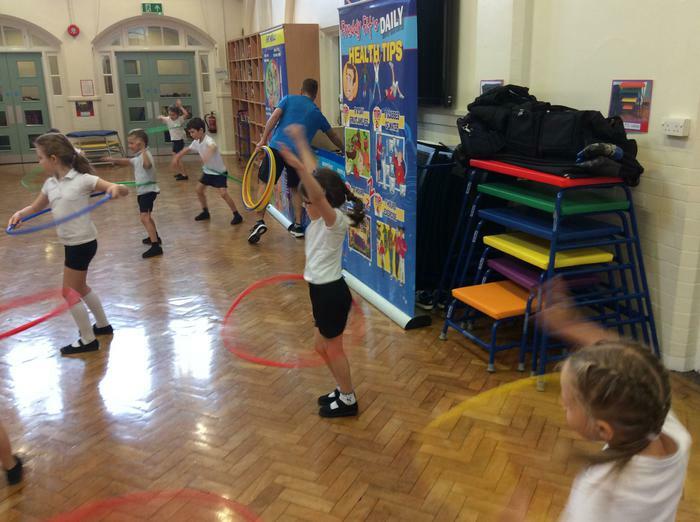 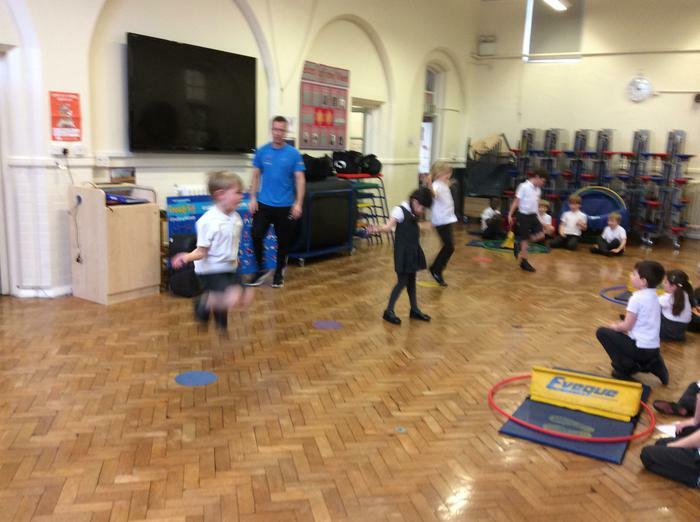 On this occasion, all children took part in an intra-school competition to see who could do the most skips, jumps and hoola hoops in the allotted time! 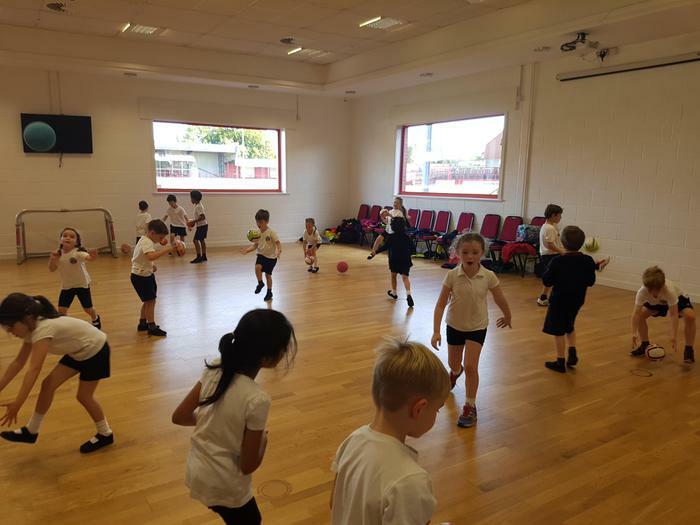 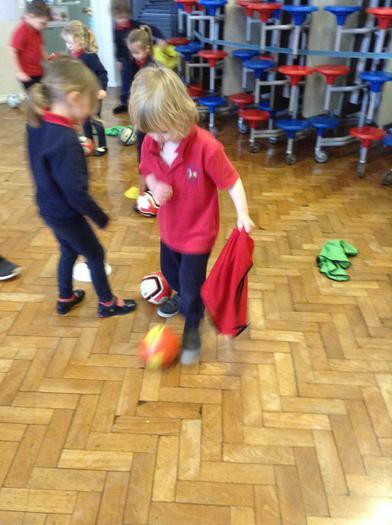 On Friday Willow Class began the first of their 3 football skills sessions down at Altrincham F.C.. Lots of fun was had by all. 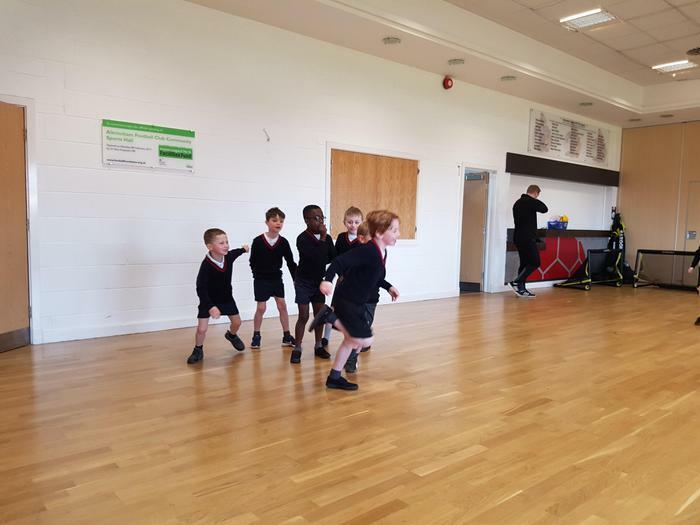 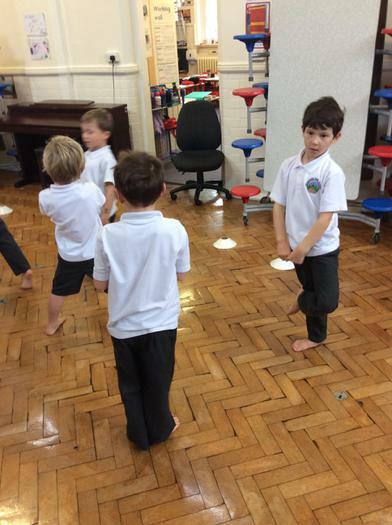 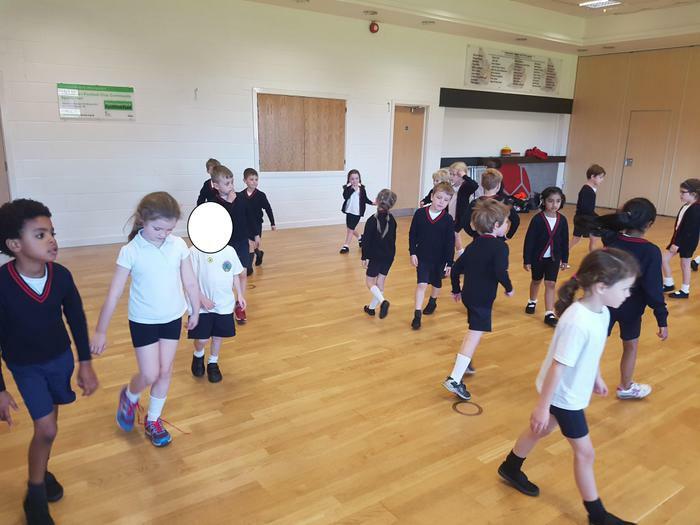 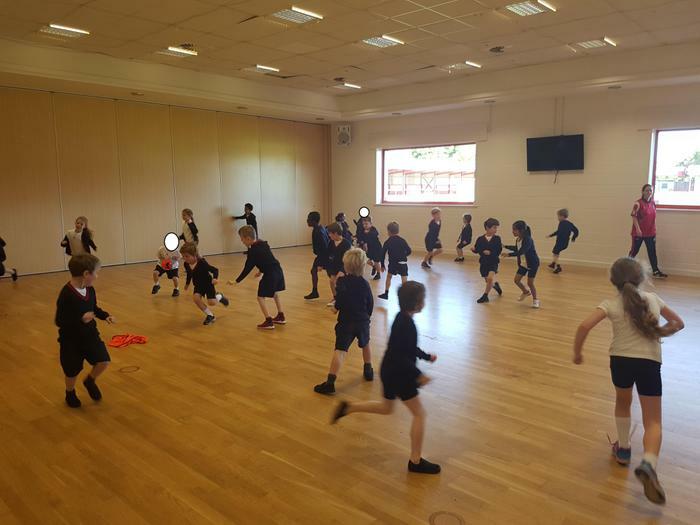 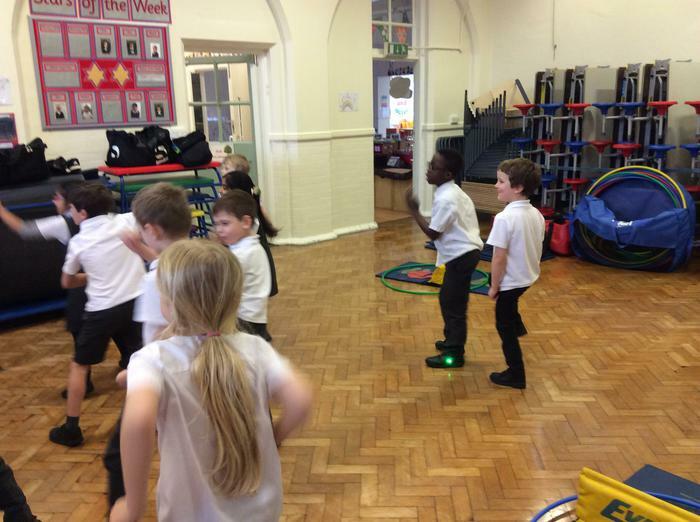 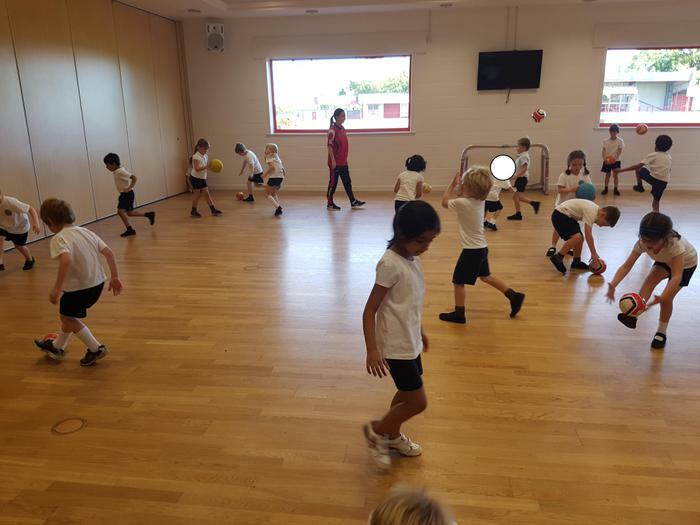 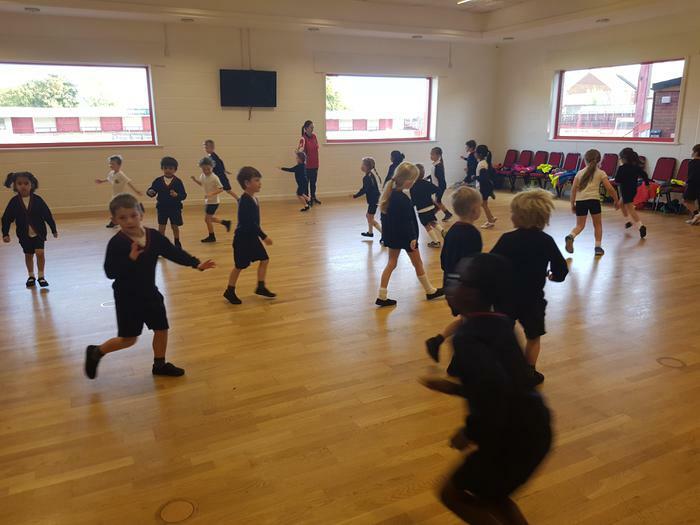 Here are a selection of photos of Willow Class enjoying their Freddy Fit session. 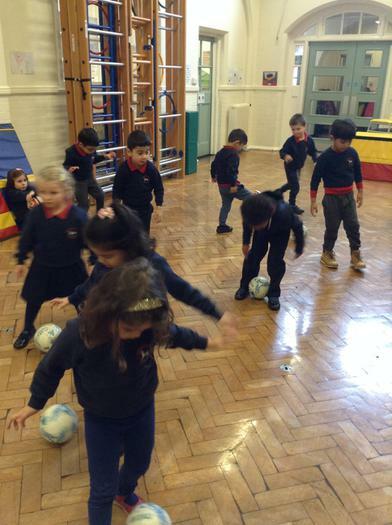 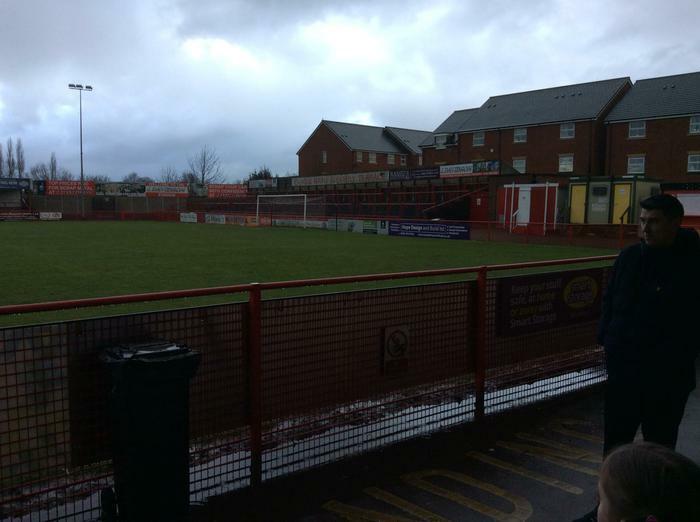 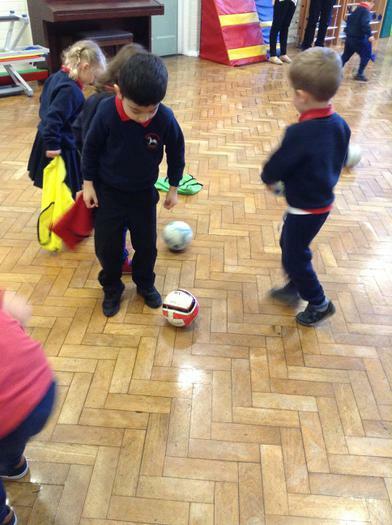 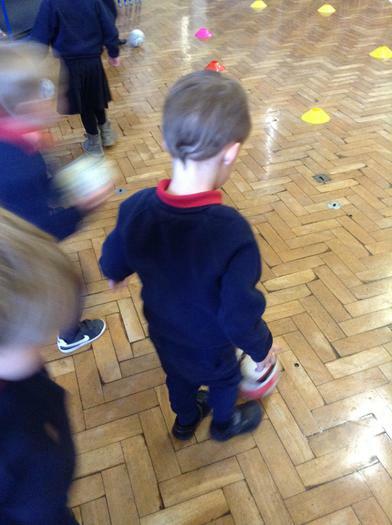 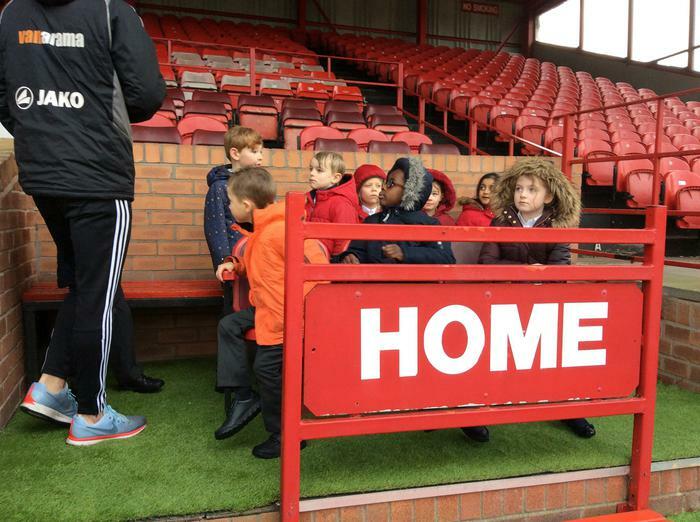 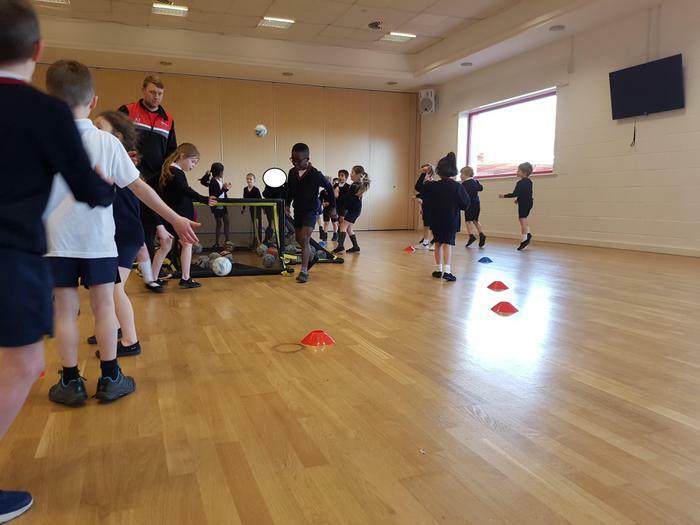 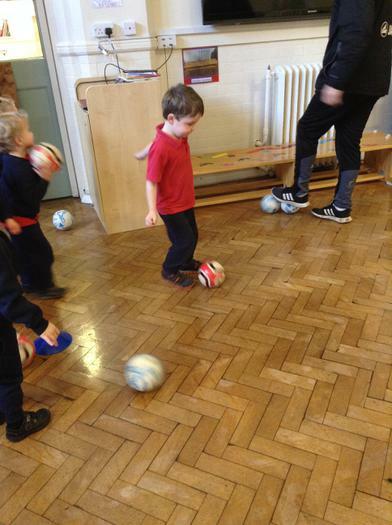 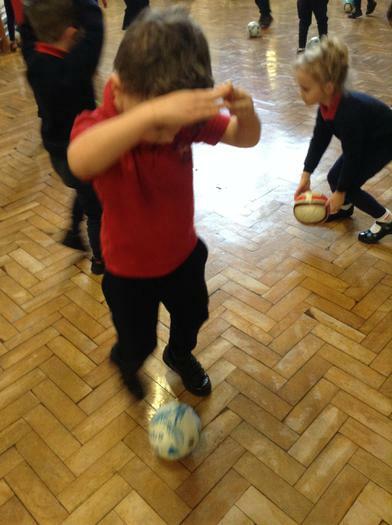 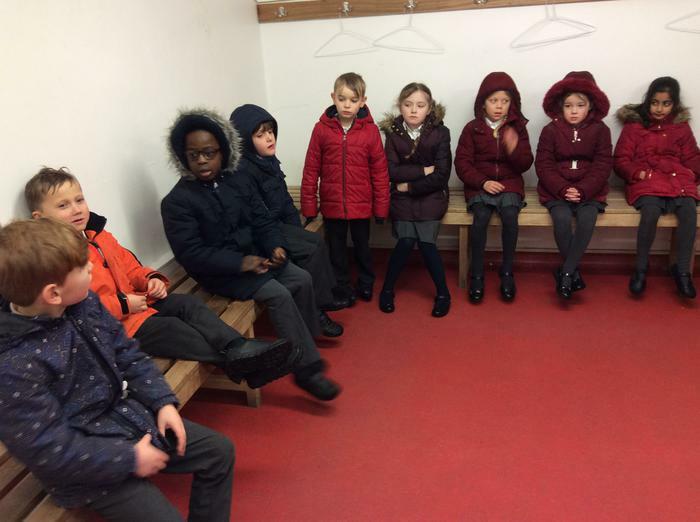 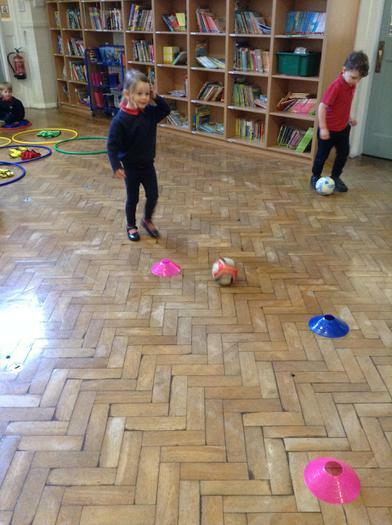 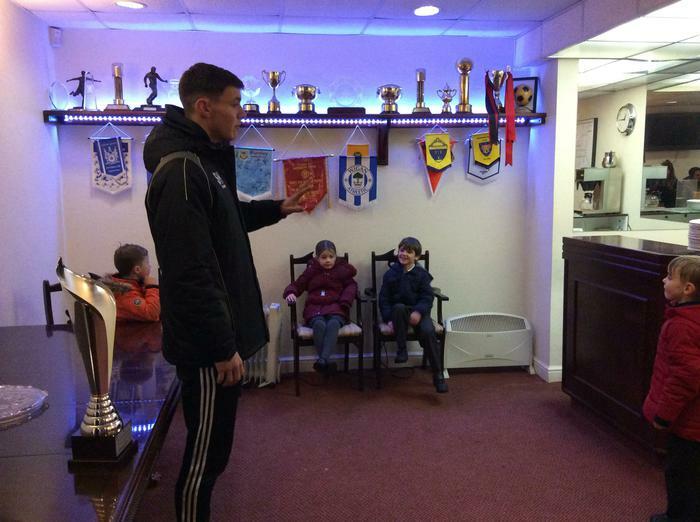 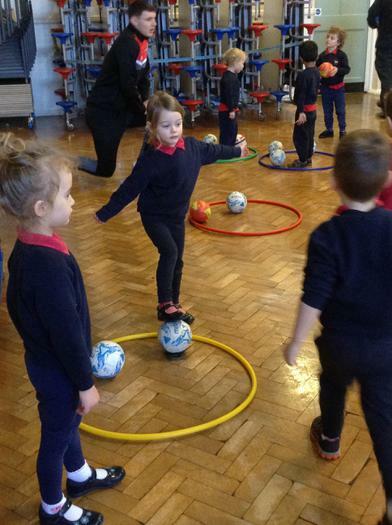 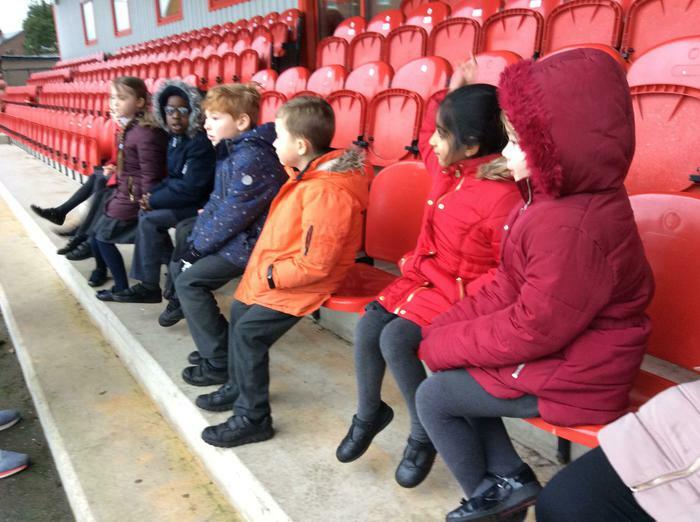 Willow Class had great fun learning some ball control skills and exercising down at Altrincham Football Club.